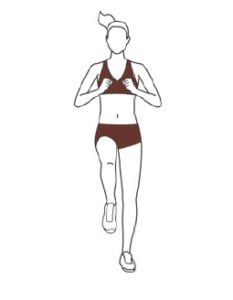 Want to improve your running performance & reduce the risk of injury? Not a fan of going to the gym? 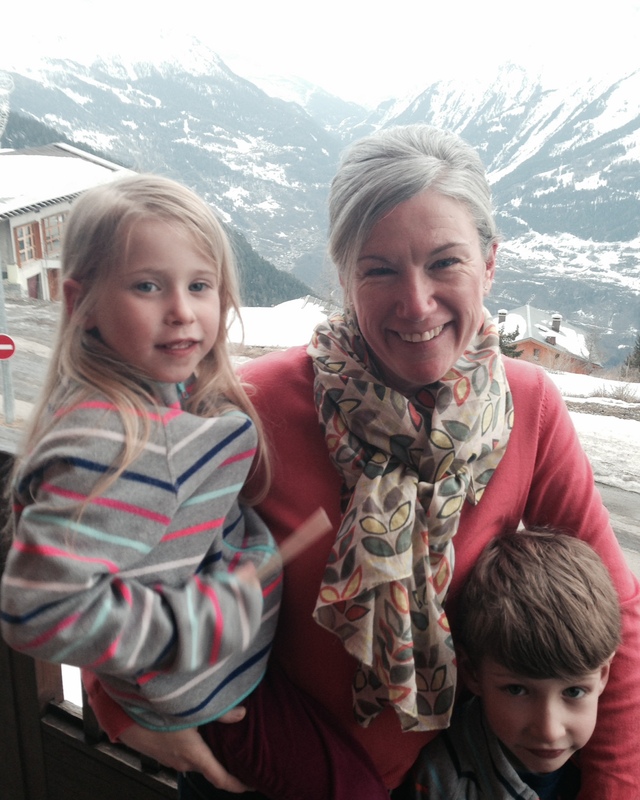 Busy family / professional lifestyle? To claim your free consultation, simply click on the button below and enter your details. *Taylored Personal Training will use the information you provide on this form in order to contact you and keep in touch with updates. You can change your mind at any time by clicking the unsubscribe link on any emails you receive or by contacting me directly on adam@taylored-personal-training.co.uk. I will not share your information with 3rd parties. By clicking send you agree with these terms. Adam helped me back to training after an ankle injury and gave me the confidence and motivation to stick to my training plan for the Great North Run which I was attempting for the first time. He planned different styles of training each session (hills, intervals etc) and always did a good warm up and cool down routine. He gave me good tips to put into practice now that I’ve finished my sessions with him, and as a result I recently got a PB in the Sheffield 10k and am running Parkrun quicker – as well as completing the GNR which was the original goal. I made contact with Adam in late summer as I was desperate to start running again after a far too long break away from it. I simply didn’t know where to start in motivating myself or getting back out there. Alongside this I was overweight and possibly I would say looking back now in a bit of grey negative place. After phone discussions and meeting Adam in the autumn I decided I was going to train with Adam, I was promised I would be at 10k again within 12 weeks, and Adams enthusiasm that this was achievable was contagious. Due to some unforeseen costly house repairs my very first session was eventually the first week in the following January. It was early morning 6am, dark, wet and miserable. I had not slept and felt physically sick. How quickly an hour goes though when having fun !!! Ish !!! The first few sessions ware hard, I did feel like I had never exercised before, I was hot sweaty and red in the face and coughing like I had smoked 50 woodbines. But my overwhelming feeling in those early sessions was SMUG I had been up at the crack of dawn and got it done and out of the way and the days were feeling better for it. Like I said Adams enthusiasm never waivers, he is always quietly confident. His approach while training is subtle he doesn’t shout, it’s a gentle build up. His constant support away from sessions is invaluable. Just how does he know to send a text at 7pm on an evening as you reach for that ‘well earned’ glass of wine after work. That one simple text is enough to make you put down the wine bottle and think of the benefits and results that you see and feel. Adam has a vast knowledge of nutrition too which is helpful to tap into and he can tailor eating plans around your life. My results speak for themselves yes I can run 10K, I have lost weight and a lot of inches, I am more confident and happy. When I don’t train I revert back to unconfident and unhappy – speaks volumes doesn’t it the benefits gained. My New goals now are not necessarily speed and beating times, but to keep on running and adding distance and to simply keep healthy. I was going to the gym 2 – 3 times a week but without seeing any real results. I felt that I needed some direction in my training and motivation to achieve results. I suppose the only reservation I had was working with someone whom I didn’t know and how difficult the training would be. From the start Adam put me at ease by asking me what I wanted to achieve from working with him. The first session was an assessment of my fitness and from that Adam produced a programme tailored to my current ability. As the weeks went on the training gradually got more difficult, but I felt as I continued with the program my fitness was improving and I could do things that I had previously struggled with. At six weeks I had a body MOT, which showed me how well I was doing with the training programme. This was complimented with the nutritional advice that Adam gave me. Changing my diet by eating less processed food and planning my food for the week ahead. I found the advice about batch cooking allowed me be more organised, having food ready to cook and not be tempted with processed fast food. 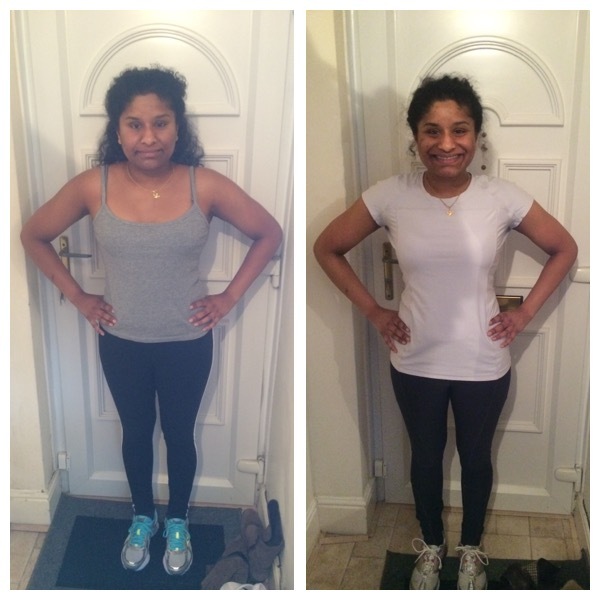 I started to become more motivated in what I was doing as I started to see physically the benefit of the programme when my clothes start to fit me much better and my body shape starting to change. The motivation also came from Adam contacting me by text and email regularly asking how my training was going and sending me recipes to help with keeping my nutrition on track. I felt this encouragement through the week helped me and kept me on track for the next training session. After working with Adam I have lost weight, lost inches and reduced my BMI. 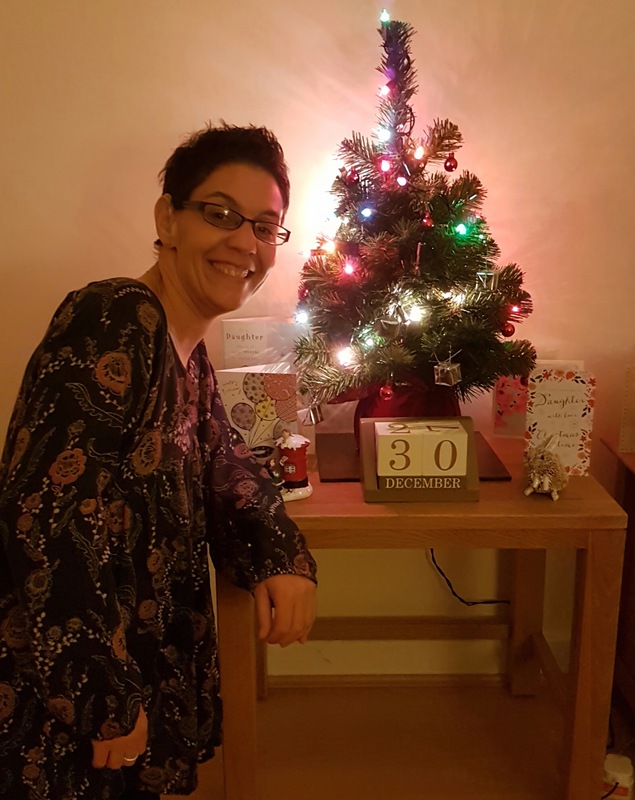 However, the best result for me from following the programme is that I have felt I have had more energy, which I feel is due to not just becoming fitter but also the fact that I now sleep through the night. I really got into running last year via Adam’s run group at Meadowhead and felt I got pretty fit and in good shape. However, winter came and I really struggled to maintain regular running during dark cold nights and mornings and in the rain. Christmas came and went and in January I found I had gained weight and was really out of shape. With two weddings abroad this year I really wanted to try and get fit and healthy again so I could feel confident on holiday but I was really struggling with motivation. I knew some other members of the run group at Meadowhead had had personal training with Adam and had had good results so I decided to undertake some myself. 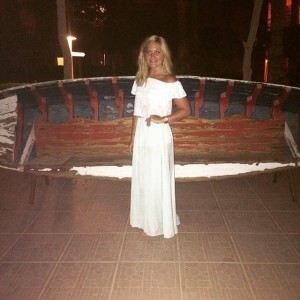 I had some reservations regarding the cost, particularly as I was saving for two weddings abroad but decided in terms of feeling confident whilst away it was well worth it. Working with Adam has been great but also really tough, particularly at first. I was really unfit and the sessions were really hard but Adam was really supportive. Although he would always encourage me to complete sets that I thought were impossible he’d always do this I’m a way that didn’t feel too harsh!!! His programmes were really easy to follow and he provided videos of any exercises that I was unsure of. For me what was really useful was having an exercise plan sent to me of what I need to do and when. This made me accountable and took the ‘choices away from me as to either I should exercise or not. Adam was always on hand to answer questions and would text to see how I was getting on. Although really tough at times, particularly the early morning sessions, I have got so much out of them. 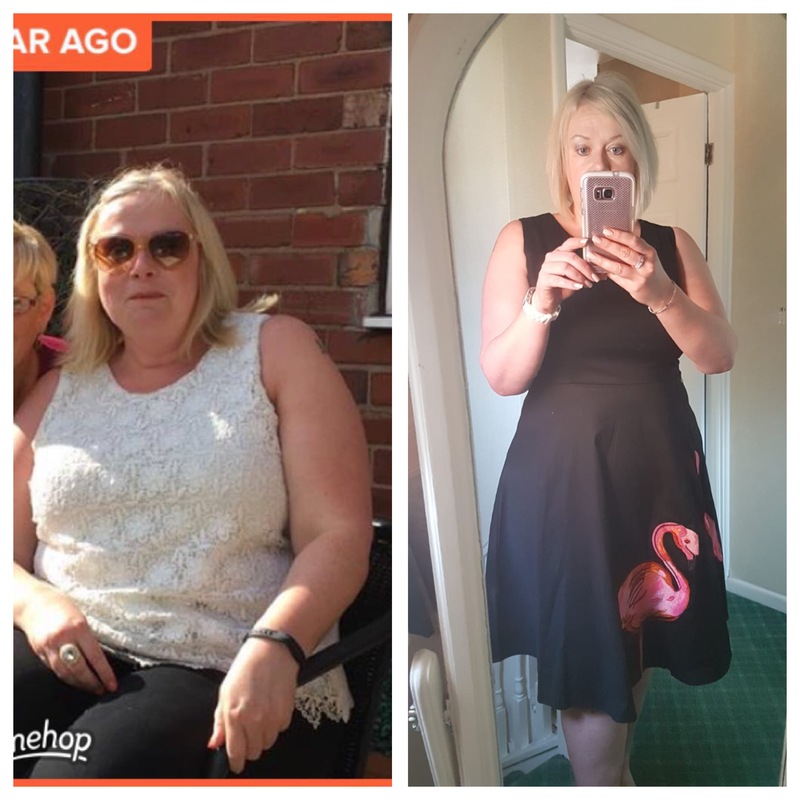 I have lost weight and more importantly inches from around my waist, improved my 5k time, learned a variety of running and gym training plans and overall feel fitter, happier, healthier and more confident. I would always pick up little niggles from running but Adam taught me to warm up and stretch properly which seems to have prevented this. I had previously run the London Marathon twice before and when I didn’t get a ballot place this year my attentions turned elsewhere for my next challenge. Barcelona marathon had always been on my ‘bucket list’ and once my entry was confirmed I had only 10 weeks to be race ready. I have been a regular runner for the last few years but had only utilised generic training plans to prepare for distance races. However given a busy work schedule and family life coupled with the limited timeframe I decided a different approach may be beneficial. 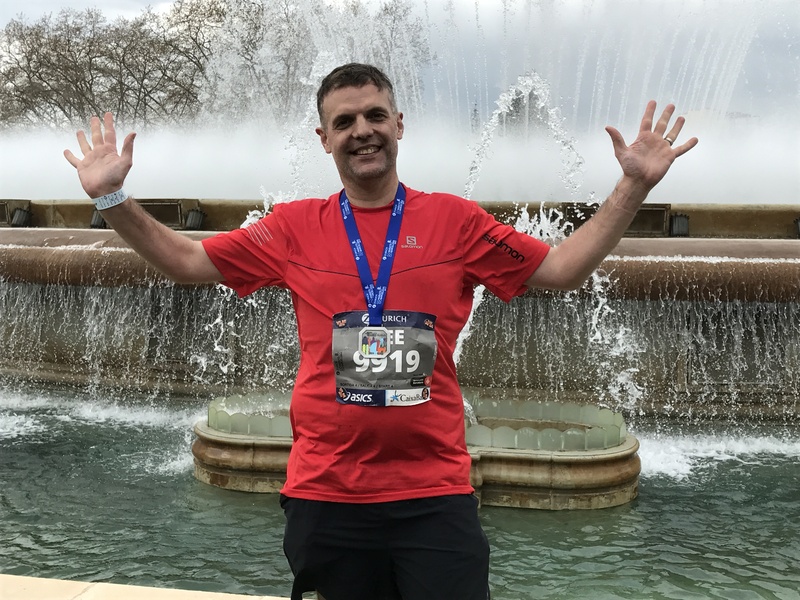 When I first spoke with Adam it was very relaxed and informal, we discussed at length my running history, personal situation and overall objectives to enable Adam to develop a specific training plan for the ten-week period. A weekly coaching call was then programmed to discuss my training progress on a weekly basis. I found these calls very informative and reassuring plus allowing the plan to be adjusted if necessary to suit other commitments for the following period. We’d chat about specifics of my recent training aided by the fact Adam had reviewed my Strava activity prior to the call – always an added incentive not to miss a session! One of the key benefits of Adam’s online training / coaching programmes was the introduction of Core & Strength work into my routine. Despite initial reservations this addition greatly improved my overall fitness, which was hugely assisted by the provision of Adam’s online YouTube video links to help with technique on some of the more challenging tasks. Detailed advice was also provided on nutrition and recovery; items, which I’d never, previously paid enough attention too, but were grateful to receive Adam’s insight into the importance of these areas. Particular focus was given in the days leading up to my Marathon in which strategy, diet and hydration were all discussed in detail. All the above meant that when race day came around I felt fully prepared, not just physically but mentally too. No doubts lingered in my head on the start line about whether I had I over/under trained, only that I’d been given enough expert advice and knowledge to put me in the best position possible. 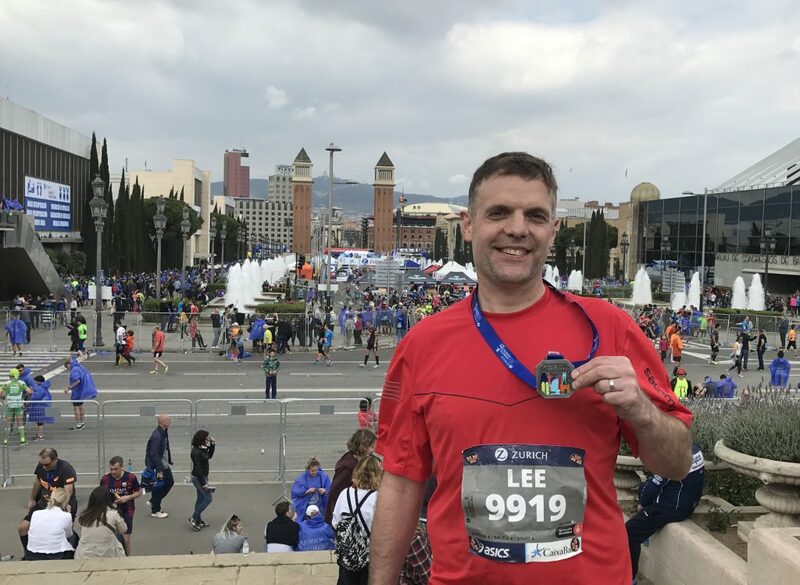 I was delighted with my result at the Barcelona Marathon – knocking a whole Five and a Half minutes of my previous best, and running a negative split Marathon in the process. A thoroughly enjoyable experience and one I’ll remember for years to come. I would not hesitate to use Adam again – his help with training knowledge and race experience were invaluable. I’m already actively seeking my next running challenge and look forward working with Adam again. I’ve worked with two personal trainers before and always found the whole thing uncomfortable, too rushed and never felt like they listened to me. I still needed help with my running so I Google personal trainers and running coaching and found Adam’s website. I tentatively contacted him to arrange a free taster session. I wasn’t sure if I was doing the right thing. I’m so glad that I did get in touch though. Adam listened to me and put me at ease straight away. After the taster session, I thought yes this feels right lets get started straight away and I signed up to Adam’s Gold personal training package. I was worried that I might get injured again as I’d previously injured my achillies and kept getting the same injury over and over again. I didn’t know how to warm up properly, what to do and how to cool down and stretch. Adam taught me everything that I needed to know and this helped me stay injury free! Adam even taught me what core strength exercises runners should do. I never knew! Adam is a great motivator to work with. He set me achievable short-term goals and was so positive throughout. I followed Adam’s training plan, which worked well. Another thing, which helped me stayed motivated, was the contact outside of our weekly sessions. Adam would either text message or email me to see how I was getting on or if I needed any advice on do’s and don’t. Running 5km and beyond was my best result whilst working with Adam. I am so happy to have found a personal trainer that works for me. This is not an easy thing to do with my deafness and communication. Before I started working with Adam I had been running casually with friends for a few years. A year before contact Adam I had joined a running club and definitely had seen some improvement but was disappointed with my performance in races. I felt I lacked direction and didn’t really know what would help me to improve. My main motivation to engage with Adam was to improve my basic speed and get fitter generally. I wanted to both be a better runner but also look and feel better. My concerns were really that it wouldn’t be value for money and that I would struggle to fit in the training. Adam is excellent to work with. The training sessions are very well focussed. After a comprehensive review of my goals, lifestyle and possible obstacles Adam developed a full programme including diet and training. Right from the start I could see the benefits, Adam set out clear milestones and supported me to work towards them. Very quickly I saw results. Within a month of working with Adam I had improved my 10k time by 4 minutes and later improved my 5k time to my target. Adam provided me with complete access to all his training groups in addition to my one to one session. He developed a personalised training and dietary programme which was easy to fit in with my busy lifestyle. My diet improved and I felt better both physically and mentally. I have thoroughly enjoyed working with Adam and have met lots of really nice people to run with in addition to Adams organised sessions. I have improved and achieved beyond what I expected to. I have improved my 5K time to 23:40, this is the most pleasing improvement but have also noticed the positive physical benefit generally. 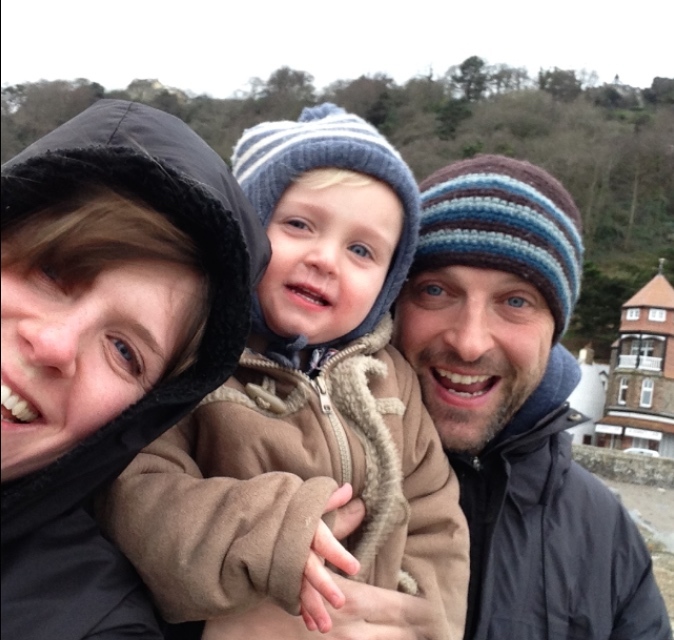 I contacted Adam after an unexpected bereavement made me realise that I wanted things to change in my life. I felt like I was always getting ill and despite wanting to exercise I struggled to know where or how to begin without injuring myself. I was overweight and my activity levels where patchy, sporadic and lacking in focus. It’s safe to say that I was really worried about beginning training with Adam. I was so convinced that I was going to be signing up for a stereotypical “shouty” personal trainer that it took me a little while to pluck up the courage to email him. I’m so glad that I did. After I’d emailed him setting out my (long!) list of reservations Adam suggested that we meet up and have a chat and a “taster” session. He was friendly and professional and really listened to my fears instead of just sweeping them aside or just assuring me that everything would be okay. I didn’t have a specific event that I was training for; my goal was just to become fitter and to enjoy exercise more. From the beginning Adam offered the right balance of difficulty, I felt challenged but never overwhelmed. If he suggested an exercise that I tried and found too difficult he would listen to what I said was difficult and modify or change it. It always felt like he was constantly taking mental notes of how he was going to progress the exercises or about what was working well or wasn’t working. 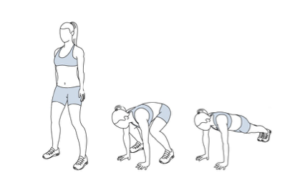 I surprised myself quite a few times by being able to complete exercises that I’d scoffed at when Adam explained them (who knew I could do backwards plyometric hops? I certainly didn’t!). The support tools were really useful. Having the exercise tutorial Youtube videos and the training plan as a guide really helped me to stay on track, despite my work schedule meaning that my “actual” record never exactly matched the training plan! I must confess that I was really sceptical about the Natures Sunshine (NSP) 10 day cleanse. I thought it was going to be something similar to a juice fast or some other diet fad and I couldn’t see how it was going to be beneficial. However, once Adam explained it to me and told me that he periodically completes it, coupled with the fact that he wasn’t at all pushy about me completing it, I thought I’d give it a go. It wasn’t as difficult or as icky as I thought it was going to be, but it was helped along by Adam texting me periodically to see how I was getting along with it. I’m even considering doing it again! I’m so pleased with what I’ve achieved through working with Adam. It’s given me the strength but mostly the confidence to try exercises like climbing that I’d always wanted to try but always assumed that I’d get injured doing. I’d definitely recommend Adam as a personal trainer to those who, like me, are wanting to feel better and fitter in themselves but don’t know where to start. He’s a lovely, friendly guy who gets results without being overbearing or scary. I’m looking forward to continuing my training with him and can’t wait to see how soon I can overcome the exercises that seem difficult now (Burpees? 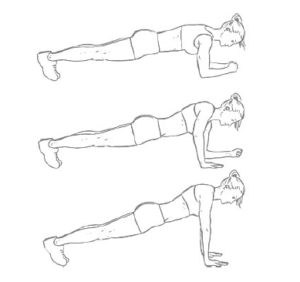 Side planks?). On New Year’s Eve 2015 I decided to enter for the Dukeries Ultra in May this year; 40 miles in time for my 40th Birthday. However, I knew that in order to achieve this I needed to drastically re-think the way I trained. Adam came highly recommended from a number of sources so I tentatively made contact. Having never worked with a personal trainer before I didn’t know what to expect. I dreaded someone who took a shouty, ‘boot camp’ approach. I’m also not someone who enjoys the gym. However, I knew I needed to work on my strength and conditioning so I took a leap of faith. Working with Adam has been fab! His approach is fantastic: he listened not only to my physical goals, but took the time to get to know me as a person and what makes me tick. His personalised training programmes, hill training, long runs, strength exercises and nutritional advice have had a hugely significant effect. My core and upper body strength has improved drastically; I have not had any more injuries; my running style is more efficient and my endurance significantly better. In addition to the training sessions, and without being overbearing, Adam kept in contact and checked my progress outside of sessions, which helped maintain my motivation. Adam has the perfect balance of motivation and encouragement. And he didn’t get offended when I swore at him running up Devil’s Elbow! I could not have achieved my goal of completing the Dukeries Ultra 40 miles without him. Before we started me and my partner Tasha were in a bit of a slump when it comes to exercise, we were both infrequent members of the gym, so exercised on and off but never consistently. Tasha had always been pretty good with her food, however I was a big fan of the takeaway pizza/any takeaway going! We are both people whose weight fluctuates; we could go through spells of being good with health and fitness but be equally as bad! For me personally, I always thought of personal trainers as the ones you see in the gym with muscles as big as my head and that type of training never really interested me! The process of working with Adam was very natural and simple. He provided us with recipes of healthy foods, which we could cook, and with recommendations of what to eat and more importantly for me what not to eat for each meal and snacks. He came up with a monthly schedule for exercises to do both at home and at the gym (If you are a member) and he can tailor it for your specific needs, for me it was to get better for distance running. He also does monthly health checks, where he measures your weight, body fat etc and takes pictures each month so you can monitor your progress, this really helped me, as it justified all the hard work I was putting in! He’ll also check in with texts to see how your week is going. The personal 1 on 1 sessions (or 1 on 2 in our case) were great. Adam is very calm and encouraging, there is no screaming or shouting at you, just positive encouragement throughout the session! You will be amazed of the transformation in your fitness and strength. Choosing one best result is a hard one, but I think just feeling better within myself, feeling more body confident and having more energy! Still a long way to go, but it’s a great base to start. Many thanks Adam. Highly recommended! Amy Mitchell after finishing the Bupa Great Yorkshire Run 2014 – zero to 5k to 10k and onwards! “Before I started training with Adam I’d lost quite a bit of weight through diet and exercise but had never really done any running at all. Despite (shockingly) not being able to run for more than a few minutes (if that!) I did want to be someone who ran, both at events / races and also just for pleasure and fitness. I considered a running club, but was too nervous to join even a ‘beginners’ one knowing I probably wouldn’t be able to keep up. I saw a post on Sheffield Forum from Adam about his running group and personal training running coaching; and thought it sounded just like what I was looking for, and after meeting with Adam was looking forward to doing the 0-5k. He seemed confident he would make me into a runner capable of completing a 5k run, which was what I was aiming for, and was so reassuring and friendly that I couldn’t help but be confident in that too! My only reservation was whether I would be fit enough, which I do know is a bit daft as everyone’s got to start somewhere, and I did have moments where I thought I would never be able to run for 15 minutes, let alone for the time I’d need to do my 5k! Adam, however, seemed completely convinced that I’d be able to do it! His positivity and enthusiasm is infectious, and whilst I’m breaking no running records when I look back at where I was just over 7 weeks ago, I am absolutely amazed at how much fitter I am and how far I’ve come. I know that had I not been training with Adam I wouldn’t have achieved what I have, and would not have been as motivated to carry on pushing myself to run longer in order to reach my goal. The training has been tough but really enjoyable, and well worth it, and although there have been many times I’ve felt I couldn’t do any more, Adam’s encouraging and friendly nature has kept me going, and I’ve done far more than I thought possible. I completed my 5k Parkrun on the date Adam and I had set, in less than the time Adam had set for me, and I cannot explain what a feeling that was – I was shattered, completely breathless but absolutely elated – and so thankful to Adam for getting me round that park!! For a girl who couldn’t run for 7 minutes in one go (my first session!) I was absolutely overjoyed with the result. 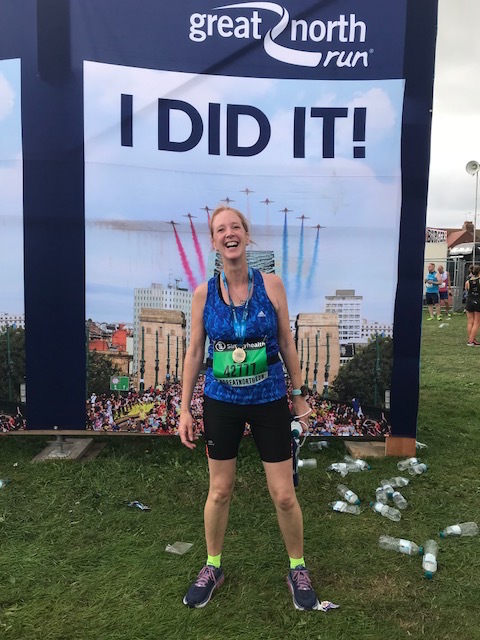 After training to get me to run 5k, I spoke with Adam about my next goal – I wanted to run a 10k race – and promptly registered for the Bupa 10k Great Yorkshire Run!! With 10 weeks to get me from 5k to 10k, training levels were upped with more interval sessions, hill reps, longer runs and Running Group once a week, combined with HIIT workouts that were truly exhausting!! However, once again, Adam had faith that I would run the 10k in less than 1:15, and I couldn’t help but start to believe it myself with each session that we did! I’d only ever run 10k once before (on the Recce run with the running group) and then all of a sudden it was race day! I was so nervous I was up from 6am, and so pleased we were all meeting before the race to calm any nerves (!!) and so we knew what we were doing. When it came to going into our start zone I was so pleased I was with Donna, Nina, Amy, Nicola and Suzana, so we could all chat as we waited to set off. I’d got my 5k goal written in big numbers on my hand, and was determined to stick to it! It was absolutely scorching as we waited, and stayed that way for all 10k! All of a sudden it was time for our wave to set off, and it was all so real – I was about to run a proper 10k race! At 5k I was feeling good and was on target, but I struggled around 7.5k, when my legs really begun to feel like lead! Thanks again Adam, I really, really do appreciate everything you’ve done for me – I think you may just have made me a runner!! 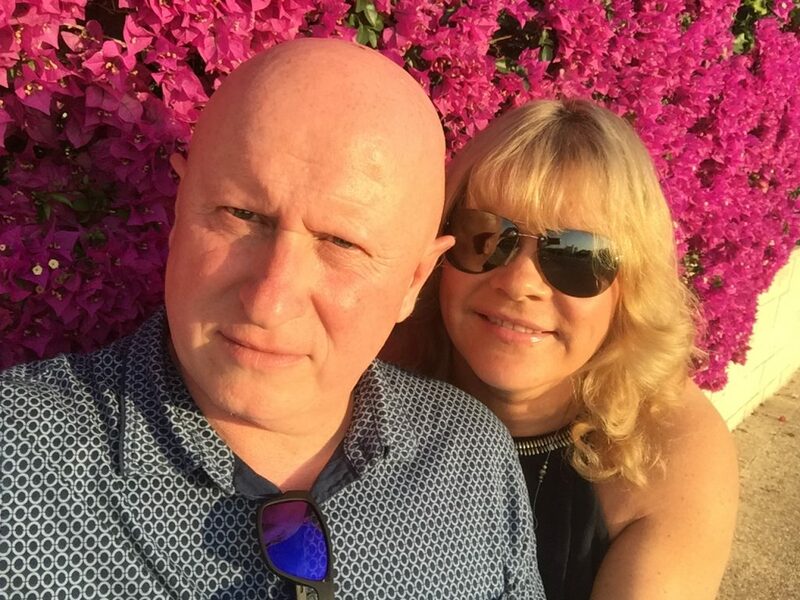 At the age of 49, with the prospect of my 50th birthday looming the following December, my thoughts were “I’m not going to be fat and fifty!” So began a massive change in the lifestyle of hubby, Phil, and myself. Poor Phil got dragged along too, but he also began to feel the benefits of healthier eating. My 50th came and went but with the start of the next year I had no goal to work to. Rowing lost its appeal, although I tried to keep it up. Then, in April 2015, I was watching the London Marathon, in absolute awe of the amazing people running it. I text my friend, Steve, at work who was an avid runner, with the message, “Do you think we could do that next year?” “Of course”, came the reply, so Sunday 4th May 2015 found me newly kitted out in running gear (feeling very self-conscious) attempting to run in Endcliffe Park with my friend, Steve. I think I probably managed to run for all of 2 minutes before I had to walk!! For a while, Steve helped me, running in the beautiful Rivelin Valley after work. I spent hours in Millhouses Park building up my running time until eventually Steve recommended I try the Graves Park Run. I was so afraid I wouldn’t get round and those two hills were an absolute killer that first time! I even had to walk for part of it, it felt so hard! 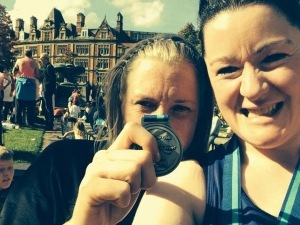 But, little by little, I built up my confidence and entered the 10k race for Weston Park Hospital in the July. Completing this was a huge boost to my confidence and I began to look for my next goal. 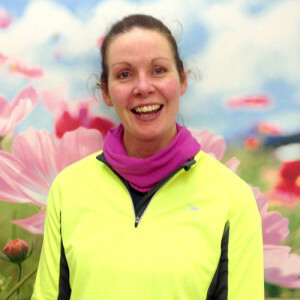 In August 2015, a very close work colleague lost her husband to cancer and my mind was made up- Cancer research UK were doing the first ever all-ladies half marathon at Lee Valley near London in the October. I was determined to run this in memory of her husband. I knew that in order to reach this goal I would need further help and that’s when I found Adam! And I can honestly say that having Adam as a Personal Trainer is one of the best things I have ever done. In August of 2015, I began my training plan, carefully put together by Adam, and I stuck to it rigidly. Phil and I used the recipes he provided us with and the home-made granola is something I can’t now live without! 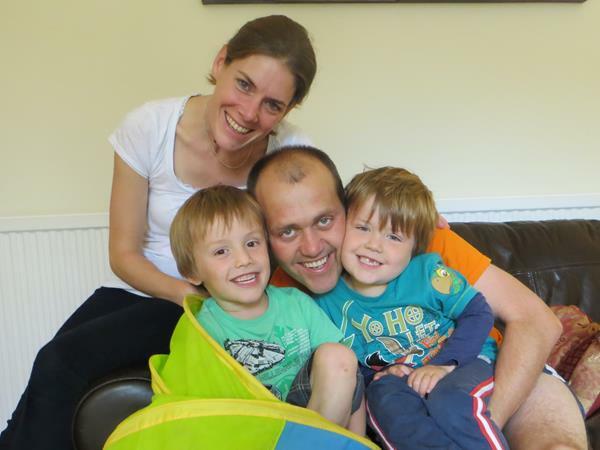 Adam’s gentle encouragement and knowledge about exercise and running has since had a major impact on our lives. Seeing the benefits I was reaping, Phil also took up Adam’s services! I have learnt the importance of core training, healthy eating and those all-important rest days; Adam has helped me understand the need for interval training and, despite my protestations, hill training! My half marathon at Lee Valley came and went at the start of October and by the time I completed my second half marathon at the end of October, I had already knocked 9 minutes off my time. 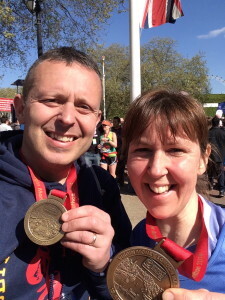 My next half marathon was not until February of this year when Phil and I completed the Vitality North London Half Marathon in Wembley. I was able to knock a further 7 minutes off my previous best and was now 13 minutes faster than when I did my first half marathon back in October 2015. All of this was thanks to my training with Adam. 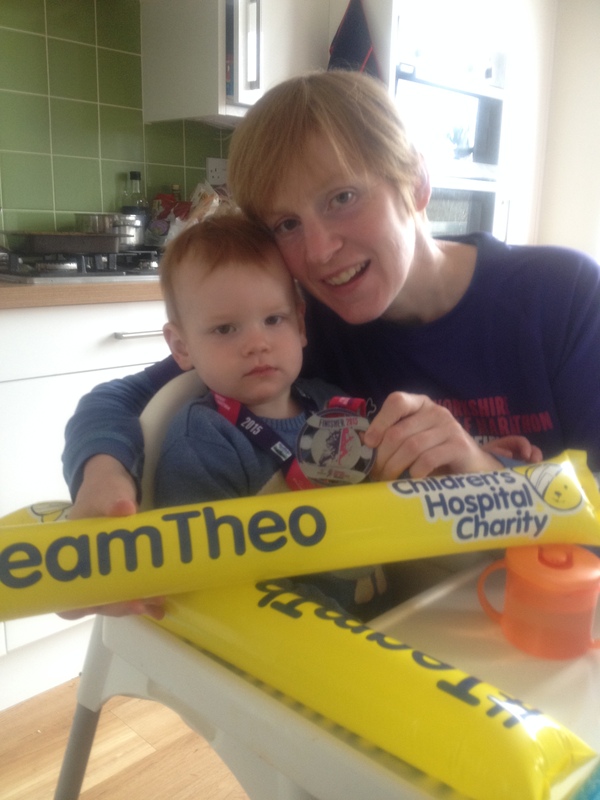 By the end of October 2015, I now had a new, even bigger goal – the Manchester Marathon! I had persuaded Steve from work and Phil (the hubby) to take on this challenge with me; we were raising money for Sheffield Children’s Hospital, a charity very close to our hearts. Adam’s support was going to be vital for me to achieve this and on Monday 21st December my official marathon training began. The long runs became longer and longer and were a huge challenge but Adam was always there with support and encouragement. When I lost my running mojo in February, he knew exactly how to keep me motivated, how to tailor my running so I was still successful and gradually that mojo returned. Having Adam meet me part way through a long run was a huge boost and this really kept me going so that I was able to complete the majority of the planned runs. Week by week, as my mileage increased, I was determined to do well, not only for me, but also for Adam. Sunday 10th April arrived bright and sunny in Manchester, at the same time as thousands were preparing to also run the Sheffield Half Marathon, Adam included. 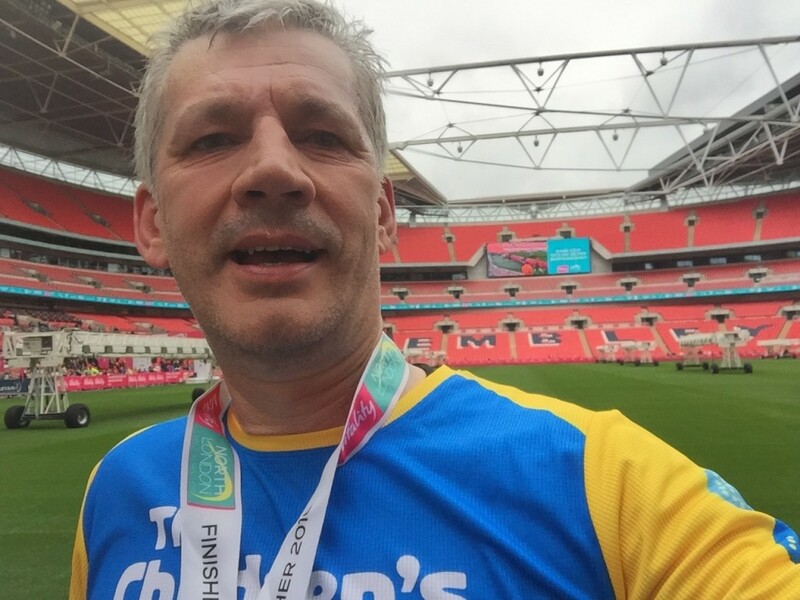 At the age of 51, the Manchester Marathon was the toughest physical and mental challenge I had ever taken on. I felt fairly confident, knowing I had put in the hours of training necessary, none of which I would have done had it not been for Adam. When I crossed that finish line almost 5 and a half hours later, the sense of relief was immeasurable, but so was the sense of achievement. Apparently, only 1% of the population has ever completed a full marathon and I can now boast I belong to this elite group!! On the day I finished that marathon, I had only been running for 50 weeks, not even a whole year. For nine months of that year, I had trained with Adam and I know, without a doubt, I could not have achieved what I did without his help, advice, support and gentle determination to push me to reach that goal. Those immortal words,“ Never again!” were uttered repeatedly upon completing the marathon but I’m not so sure! Already, Phil and I are debating whether or not to take it on again next year and better our times and I know, that if I we do decide to go ahead, then Adam will be the first person I call! Before we started, I had started to run again after a layoff since running cross-country for my school and trials for the Lancashire schools cross country team, though this was in the late 1970s. 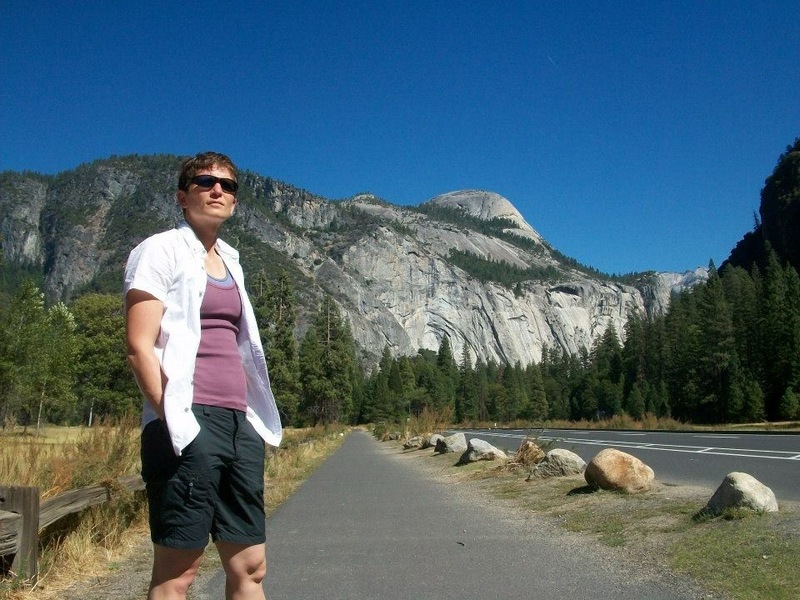 I then spent the 1980s rock climbing to a fairly high standard (for the time) and then spent 25 years sitting at an office desk, rarely venturing into the world of exercise but missing it immensely. 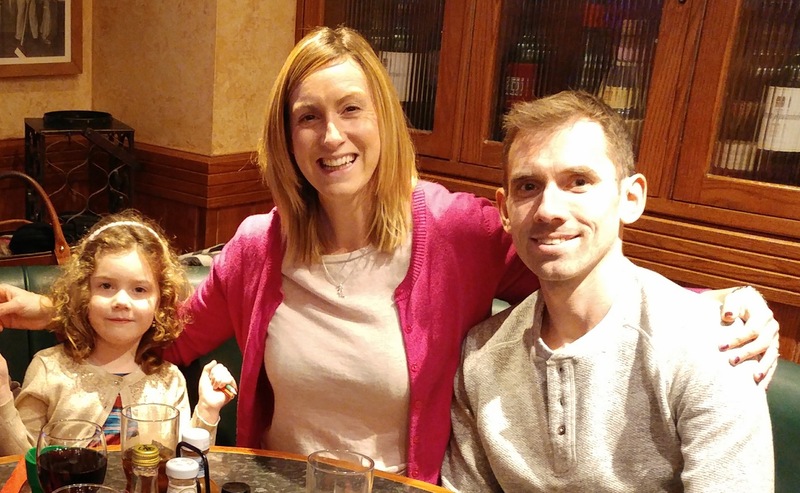 My wife was already being trained by Adam and had made a decision to run a marathon in 2016. I have previously tended to take a rather lazy approach to training, and as a result it does not tend to be structured, and any success is rather hit-and-miss as a result. Adam had trained Kate for a number of months and the results that she had already demonstrated were excellent; Adam had developed a structured plan that worked extremely well. I was keen to instill this mentality into my own training routine and to undertake a structured plan that I could commit entirely to. Not wanting to be outdone by Kate running a marathon, I spent a couple of months building up a basic level of fitness before the onset of late Autumn and a desire to ensure that progress continued to be made; something I certainly could not accomplish without outside help. Adam was keen to structure training including basic fitness, planned running and core workouts. These workouts came as a complete shock as my body began to realise just how far I had let it decline. The sessions also got no easier as making progress forces you to work harder to maintain momentum and keep moving forwards. 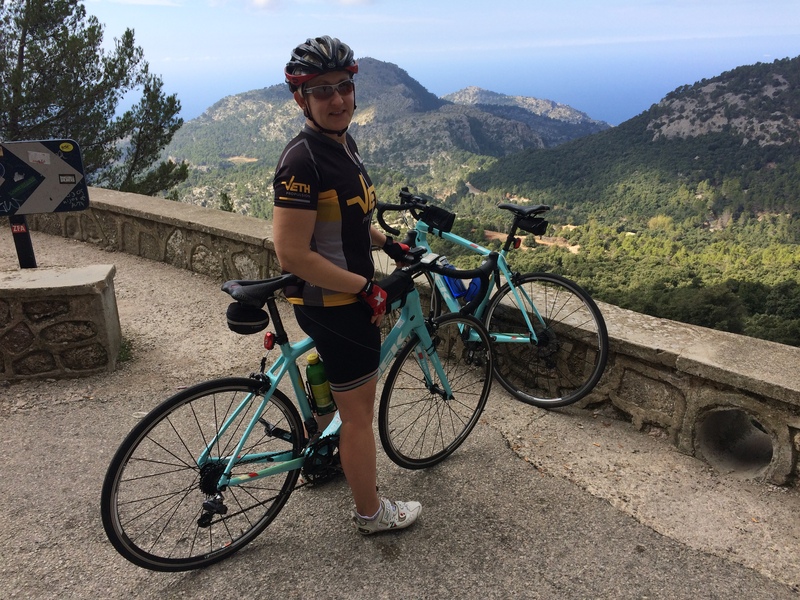 Adam’s training approach is quietly assertive and supportive, and on multiple occasions, Adam took me right to the limits of my abilities, to the boundaries of failure, and always supported me to get back on the exercise cycle as quickly as possible. Believe me, there is no better feeling than working through those failures. About 1/3 way through my initial program with Adam, my goals changed as we had not only entered a further five (or six?) half marathons for 2016, but I had also entered two sprint triathlons and I would need to begin the juggling of disciplines whilst maintaining initial concentration on the Manchester Marathon in April as the first proper goal. Adam has given me the confidence to keep on plugging away to achieve whatever the current goal is, whether it is running, core training or whatever. Also, completing the Vitality Half Marathon in March proved to me that the program had worked and that (despite being far slower than I was back when I was younger!) I could still go that distance at least. Before I started working with Adam I had been exercising since my teenage years. I’d been running for about six years. Most recently I had been running 10k two to three times a week and was unable to get under 1 hour. I also had an overhang of fat around my middle, which didn’t shift despite running and what I thought was a healthy diet. I had always wanted to try personal training but thought it was something other people did; a bit of a luxury. I was a bit apprehensive and wondered if I would be able to do it, to the level Adam set. Adam put me at ease from the start, he understood what I wanted to achieve. Hill sprints in particular were very challenging but I looked forward to pushing myself, going beyond the point I had been before and would ever have gone alone. I always felt great after our sessions and motivated for the week ahead. In addition to intervals, fartlek, strides and HIIT workouts the nutritional advice I received from Adam was illuminating and invaluable. I’ve fine tuned my diet to include healthier options for me and also have a healthier approach to treats. In a nut shell I’m now a sugar avoiding, apple, berry and nut lover with a reduced coffee intake! One of my goals was to run a sub 1 hour 10k, which I achieved with Adam’s coaching. My first official 10k was sub 53 minutes! Adam was always encouraging and his calls, texts, Strava and Facebook messages of encouragement helped to keep me focused. The importance of what to eat. I have always enjoyed running but before I started training with Adam I was only managing sporadic runs every week or two. I was running the same sort of runs each time I went out and had no structure at all to my training. My 5k and 10k times had been static for several years and I had found this quite frustrating. I didn’t particularly enjoy running alone and without aim and was struggling to find the time and motivation to do any more. I saw a flyer for one of Adam’s running groups and decided to go along one evening. I was quite nervous but found the group friendly and welcoming. I’ve made a few new friends amongst the group and hopefully found some new training partners for the future – running a few weekend races with the group and enjoying a social get-together afterwards has been really fun and opened up a new world of events I can enter. I liked Adam’s training style and quickly decided to pursue Adam’s Gold Personal Training Programme with him with the aim of improving my 10k time. My main reservations about this were the cost and time commitment involved but the benefits I have experienced in terms of both improved fitness and better work-life balance have been more than worth it. I have really enjoyed training with Adam. He has provided me with a detailed training plan which has been tailored to my current ability and targets. The training sessions have been varied and interesting. I have a busy job and 3 small children so my time is limited but the mix in my plan, of outdoor running sessions, and strengthening and fitness sessions I can do at home when the kids are in bed, have made it achievable. I’ve had a few little niggles which Adam has been very responsive to, adapting my plan at short notice to prevent me from developing an injury. His regular contact via text and email have been a great motivating factor for the training I’ve done alone between his sessions. Adam himself has been a great trainer. He is easy going and friendly, so there has been plenty of chat and laughs in amongst the hard work. He is patient with my queries and positive and encouraging about what I can achieve. After just a few weeks working with Adam I managed to smash almost 5 minutes off my 10k time which was a huge achievement for me and one which I owe entirely to Adam’s training. In summary, I would thoroughly recommend both Adam’s running groups and his 1-2-1 training. I am healthier, happier, faster and fitter as a result of working with him. My name is Marta, 34. I came to Sheffield from Poland for a period of 3 months. I have been a running enthusiast for the last 2 years, training with a group 1 to 3 times a week in my home city – Lodz. As back home I attended a Parkrun here and I met Gerry who invited me to Adam’s Group at Weston Park. As a foreigner I wondered if I’d match the group well as no one likes to be far behind. I was also aware about different approaches if it comes to training. Adam and all runners have been friendly from the start, very welcoming despite my different background and accent. From the first training (which was rather hard – hill sprints at Roslin Road times ten) everything seemed familiar and it felt just great. Training sessions are diverse and ambitious which I really like. Despite occasional nasty weather the majority of the group shows up – and that spirit keeps me going! I found the newsletter very useful – it’s a lot of info for someone not local. I enjoyed taking part with the Park run tour at Hillsborough Parkrun followed by a coffee with a few from our group. Team members were kind to give me a lift both ways – thanks a lot Beth and Adam J. Now it’s time to go back home. I’ve used my time well with keeping up the training. I enjoyed the Sheffield hills very much. Thanks to Adam and Gerry I took part in Longshaw 10K trail race and I adored it. Fell running was a fantastic new experience as I come from a flat city. I am now more confident with hill running and plan to apply Adam’s coaching tips into my running style. I will take this positive experience with me. Thank you Weston Park Group! I was stuck in a rut with my running, and was always doing similar distances at the same pace, and not really pushing myself. I had run two 10 k races and one half marathon, but more to see if I could do it than get a great time, and I was hoping to run a marathon one day. I had put on some weight and was lacking the motivation to run on a regular basis and push myself beyond my usual routine. My husband surprised me on my birthday with training sessions with Adam to encourage my running. At first I was terrified I wasn’t going to be fast or fit enough, but Adam was friendly and encouraging, and although the sessions were tough, I found myself looking forward to them. When running with Adam, he always made me push myself and we did running exercises I would have never done on my own or I would have stopped running when it became “too difficult”. After a few sessions I began to feel more confident in my running ability. The plan he did for me was challenging but not overwhelming. I also started running weekly with one of his running groups, which gave my running a social element it had previously lacked, and I really enjoyed the weekly sessions with the group who were always really supportive. As I was moving abroad and would not be able to sign up for a marathon, Adam suggested I do a 10k before I leave. I had done two before, both with a slightly unsatisfactory result, but Adam was convinced I could run this one faster than the previous ones. I wasn’t sure. Race day 6 weeks later was a hot and sunny day, and despite being overwhelmed by the heat I knocked several minutes off my last time!! Training has been hard work, but also fun and rewarding and has shown me I am capable of more than I thought. Adam has made me a more confident runner, and has given me the right tools to continue on my own and the confidence that I can do it! Before joining the Wednesday Taylored Running Group in Dore I was struggling to find motivation and enthusiasm for regular running. 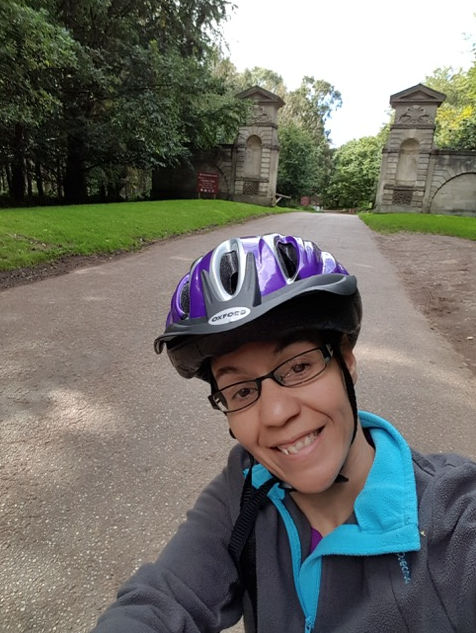 After having a baby a year ago I had really let my general fitness slip and was finding that although I was attending the Endcliffe park run regularly I wasn’t feeling any stronger with my running and was becoming a bit stagnant in my progress. With the winter weather and darkness looming I realised I needed something to help me progress and get closer to my running and fitness goals. 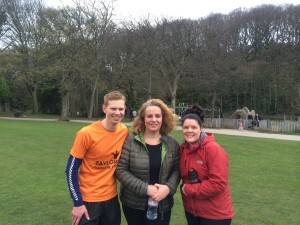 A friend recommended Adams running sessions as she attended the Weston Park running group. I decided to give it a go and turned up a little reluctantly to the Wednesday session in Dore. Everyone in the group was so friendly and welcoming and I instantly knew I would feel comfortable running with the group. Other groups I had been to feel a bit intimidating in terms of pace and distance covered. However in Adams sessions I liked the variety of abilities in the group. I also like that each session is different with a different focus and goal. The first session we did was sprint intervals which although challenging were great fun and rewarding. After that first session I was hooked and when on a dark, cold and damp evening I would normally reside to the TV and sofa, I feel motivated to put my trainers on and attend Adams running session. Not only have I enjoyed each session and felt a sense of pride and reward when I’ve completed a session, but I’ve also reaped the rewards of a new PB on my park run when just last Saturday (Saturday 31st October) I managed to get 23.51. I was over the moon with my new PB as when I started doing park run in April I was stuck around 26/27minutes. I know that this new PB is down to the inspiring Wednesday sessions led by Adams enthusiasm and expertise. I feel I have found my love of running again and once again enjoy feeling the burn!!! I’ve been running long distance events since my forties as I found I just didn’t have the pace for 10k or half marathon races. 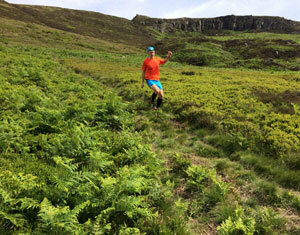 I also moved away from road racing and into fell running. I’ve always loved swimming. When my daughter was 8 the two of us joined the local swimming club. I found swimming helped massively with my running. Four or five years ago my wife had to give up running after knee surgery. She took up road riding, another long time interest of mine. Running, swimming, cycling. I was drawn towards triathlons. I tried a few over the last couple years and really enjoyed them. Not the park, pool types, but the open water, fell running sort. 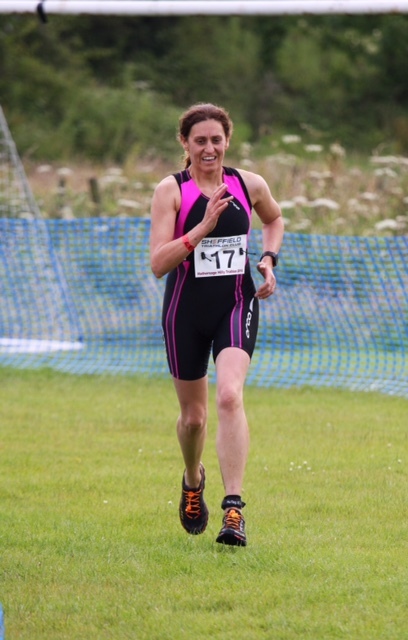 Wasdale tri, Helvelyn tri, Buttermere tri. I was drawn in. Then I heard about a new race. 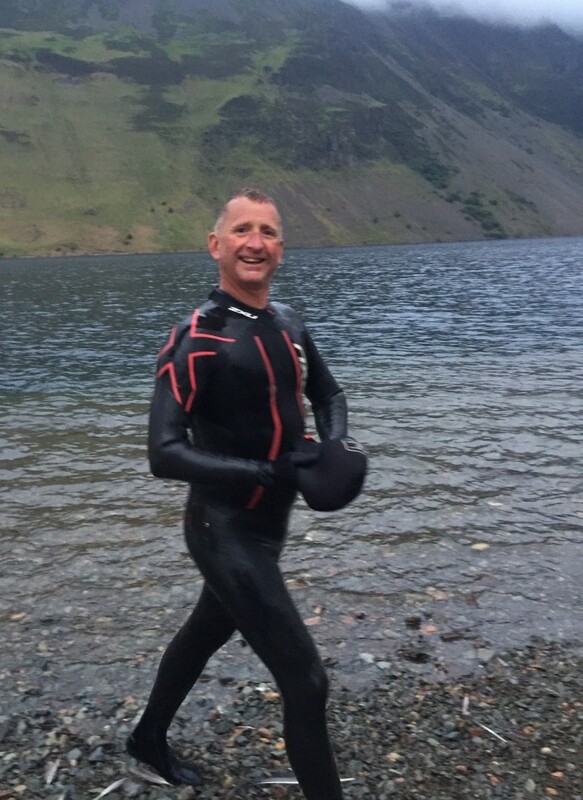 The Wasdale Iron Man. A ridiculously long, hilly, arduous event. It sounded impossible, and fab, so I entered. I realised I was going to have to really train for this, and that I needed advice from an expert. I’d met Adam at a Lakeland fell race a couple years ago and we hit it off. I called him and told him of my plan. Adam immediately became enthused about the training. He drew me up a training schedule and together we penned in key events that would build me up. 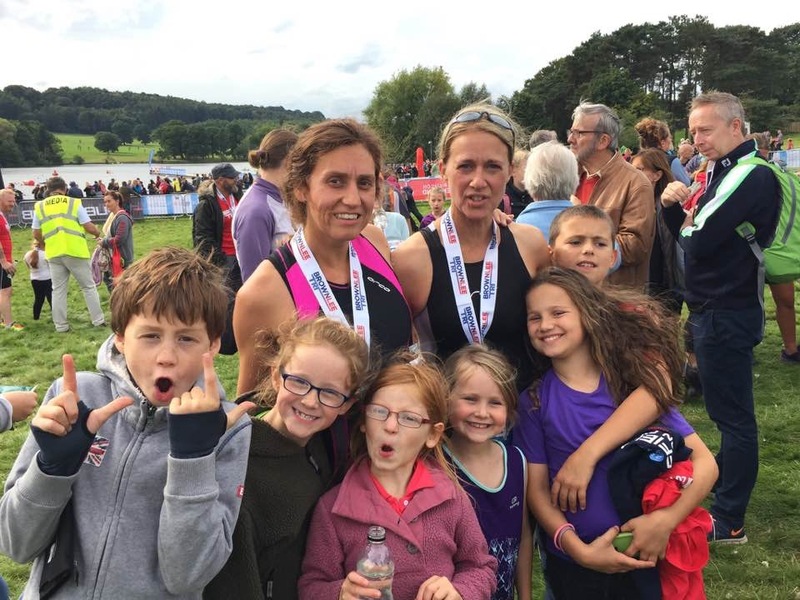 Swimming events, bike events and fell races. Focusing on leg, core and upper body strength I trained with Adam once a week with my wife Anne and occasionally my 12 year old son Sam. We always had fun, lots of laughs and messing about, but always a hard workout that left me tired, happy and aching for days after regardless of the weather. (even in the snow)! Adam advised me on diet and helped me cut down on the baddies like alcohol & sugar. He texted me regularly, wrote me bespoke weekly training plans and always, between the laughs and jokes, remained professional and focused on my goal. He was an excellent coach. 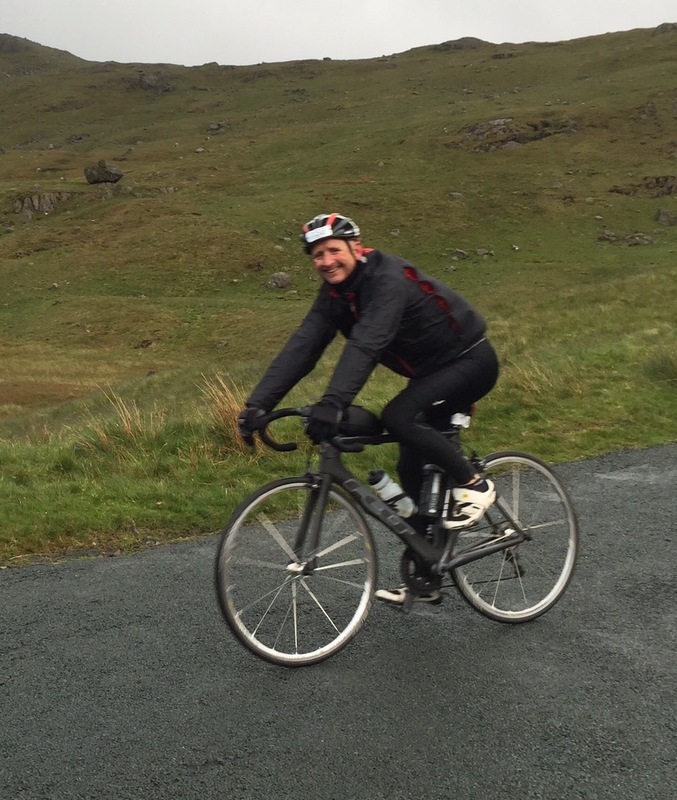 I completed the Wasdale Iron Man in 19hours and 20 minutes. I couldn’t have done without Adam. Thanks mate! I was lacking motivation. I’ve always been a huge sport fan (running, climbing, biking, skiing etc) but, too many hours spent at work alongside 2 knee operations, which had stopped me running, meant I wasn’t getting to the level of fitness I was used to. My husband and friends were getting excited at the prospect of training with Adam – I didn’t want to miss out and got carried along…. The weekly session was outdoors, challenging and fun! Adam soon worked out I got bored easily and kept the training varied and interesting. We really got into planking, which has endured long after finishing training with Adam. The nutritional advice has been really useful. I thought I was well informed and knew what I was doing food-wise but have learnt some valuable tips. I was missing out breakfast all too often, but now the habit of fruit & yoghurt pots is well set in. I’ve cut down on alcohol and now enjoy fruit teas, it all feels better! Texts and weekly programmes also helped with motivation. 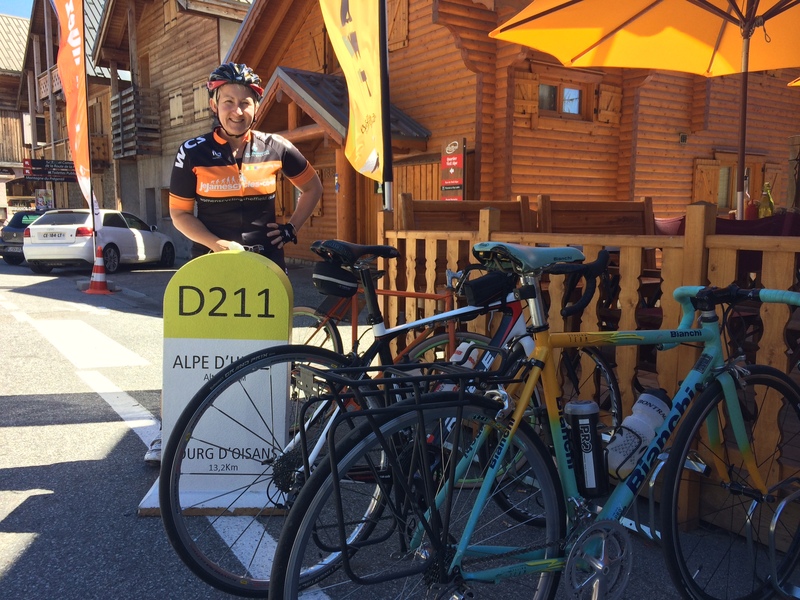 I’ve been a fan of long bike events for a few years now (generally 100km to 100 miles), but this year I dared to enter a Gran Fondo – a closed road 80-mile race, and it was fantastic, I did much better than I’d hoped. I’ll be doing more of these! Thanks Adam, I’m expecting & hoping to train with you some more. 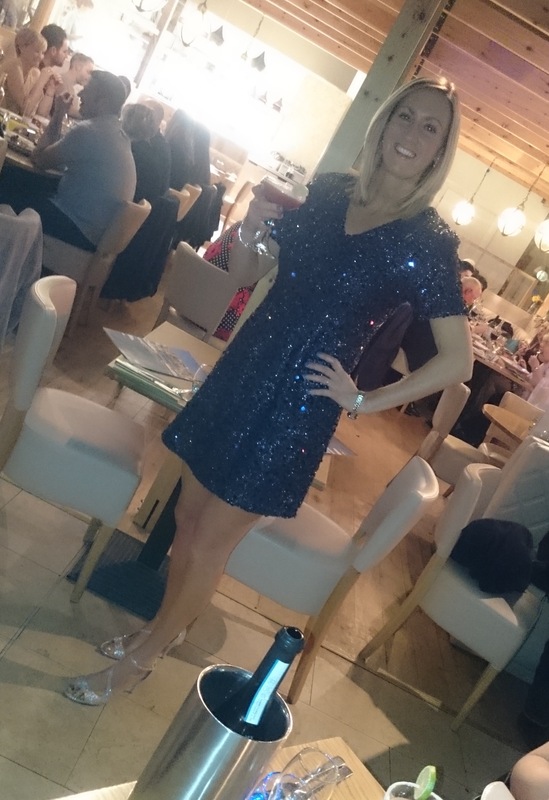 Starting In September 2014 at over 91kilos and a size 16/18 I initially committed to Adam’s platinum training program which included 2 sessions a week with Adam and a tailored plan to follow in between. The sessions were either running (usually hill sprints), or HIIT based training, all designed to help lose fat. As well as the training plan, Adam introduced to me the concept of Clean Eating, with lots of information and advice as well as recipes. The early few months were extremely hard work but Adam was encouraging, motivating and extremely patient with me, responding to my millions of questions both in our sessions and by text and email throughout the week. The hard work was always rewarded at the monthly body MOT and by December 2014 I had lost 17kilos and reduced my body fat by more than 10%. As my fitness has improved, the sessions became more advanced, with heavier weights and TRX training as well as kettlebells and HIIT. As a regular Park Runner, I was starting to see the benefits of my weight loss as week on week my times improved. In May 2015 I joined Adam’s weekly running group which provided a friendly, competitive, challenging and safe running environment. My running ability has gone from strength to strength, with a sub 25 minute 5K and a sub 50 minute 10k under my belt this year. In October 2015 I had my final body MOT with Adam after a year of training. The results have totally surpassed my expectations. Weight loss to date of 30kilos, 16% body fat loss, almost 20cm loss from waist and 25cm from my hips and I am a confident and healthy size 8/10. The process of working with Adam over the last 15 months has been an extremely positive experience that has changed my life forever, enabling me to develop a healthier relationship with food and a positive attitude towards fitness, the results of which are a body confidence I have never had before. I knew a total lifestyle change was needed to get the weight off, which is exactly what Adam has delivered. The only reservations I had initially were financial but I can honestly say it has been worth every penny and I view the expenditure over the last year as an investment in my own health and future. I cannot imagine having achieved these results without Adam’s skills, guidance, commitment and encouragement and I wouldn’t hesitate to recommend him to anyone ready to make the changes they need to see serious results. I started training with Adam with the goal to get fit for pregnancy. As a self-employed electrician it was really important to me to be able to continue working for as long as possible. Adam came recommended by a friend and I felt he quickly understood my goals. The training plans he gave me were easy to follow, and Adam knew how hard to push me during training sessions. As I showed an interest in running, he catered the sessions around that, which made them even more enjoyable. My fitness quickly improved and I began to feel and see results almost instantly. After three months my fitness was the highest it had ever been and I felt the healthiest I’d ever felt. I fell pregnant instantly and have been feeling much better than I did with my first pregnancy. 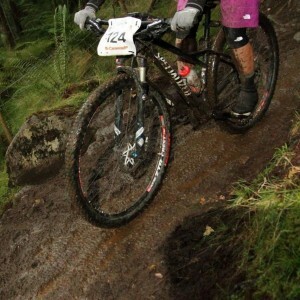 Over four months in I am still running and was even able to go on a mountain biking weekend! Although the now my body shape is changing again, I know it will be easier to get back in shape after as I started from a really fit and healthy position. 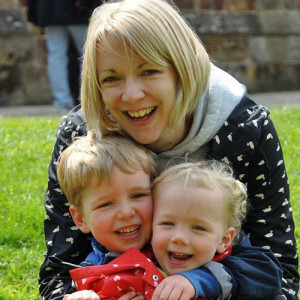 I have always enjoyed running, but after having 3 children, I got out of the habit of running regularly and definitely found myself less fit than I had been pre-children! I had started going to Adam’s running club on a Monday evening and really enjoyed it and then was motivated to try and start improving my times after completing a park run. I had seen the success of some of Adam’s other clients, so I reached out to Adam to organise some personal training. I guess my main reservation was whether I was really going to see massive improvements by doing the personal training. For many years I had only ever run at the same steady pace, I had never really improved my times significantly, so I wasn’t sure how much progress I would make in 3 months. Working with Adam has been great. Adam has a great way of encouraging people and pushing you to go that extra mile. The key to the success was the combination of the training and the eating plan that Adam put together for me. I enjoyed the variety of training, such as long runs, interval sessions, hill training and how could I forget the 5 min planks!! Adam kept in touch regularly asking how my week was going and answering any questions I had. It was a great experience and I would highly recommend Adam. I have so many things I am proud of having worked with Adam. My top three are that I ran a sub 25min 5k; I knocked 8 minutes off my 10k time and I got back into a dress I hadn’t worn for many years! I had started running a while before joining Adam’s running group and signed up on the Platinum Training Programme. I was happy running the distances I wanted, but was disappointed that I didn’t seem to be able to improve my speed. Friends had suggested joining a running club but I was apprehensive that I wouldn’t be good enough to run with the other group members and would feel out of my depth. I couldn’t have been more wrong. The group was really supportive and welcoming. Following Adam’s training programme through the rest of the week was great. The sessions were really varied, so I never got bored with my training. The different sessions Adam planned gave me a good understanding of the different things I had to do to get the results I wanted, and the support from Adam checking on how my training was going was good motivation to keep going. And the best thing about it all….. I got the results I wanted…. a PB on the 10K race I did at the end of the programme. I was aiming to beat my previous time of 62 mins, and was hoping for under 60 mins. I was thrilled to get my official time of 58:53!!!! I used to run at school but hadn’t done much since (which was a long time ago!) I started parkrun with my husband and daughter as my daughter had been doing Cross Country at school and didn’t want to stop running when the season stopped, so we all did Parkrun. I struggled for a few weeks and it took me about six weeks to actually do the 2 loops of Endcliffe Park park run, encouraged/ bullied into it by my then 9 year old daughter. I found it hard but persevered. The community there is fantastic. At the end of that year I decided with my husband to try a 10K, unfortunately in training I got injured and couldn’t run for about 8 weeks, so I missed out on the 10k but slowly started back at Parkrun. 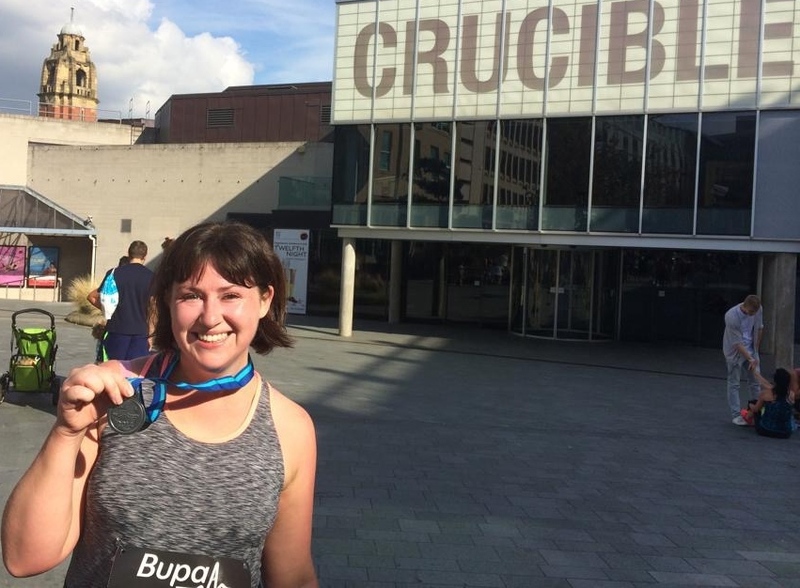 I then signed up for the BUPA 10k in Sheffield last September (2014) and whilst I found it hard felt like a great achievement to have completed it with my husband and daughter cheering me on. 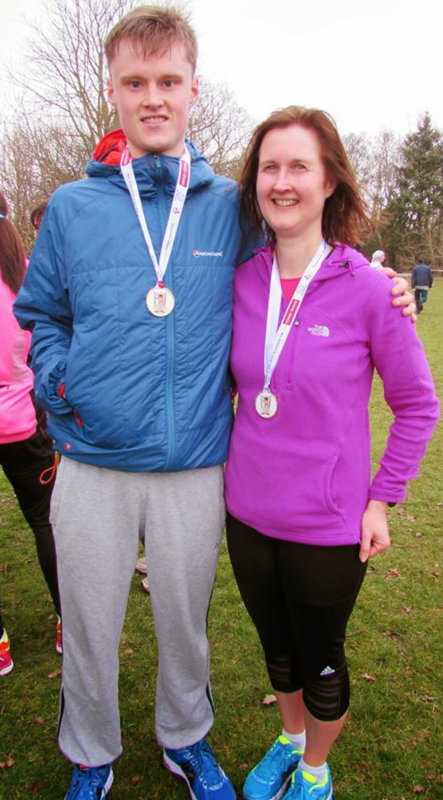 At that race I met Ellen who I then bumped into at Parkrun the following week. She introduced me to Adam and encouraged me to join running group on a Monday. 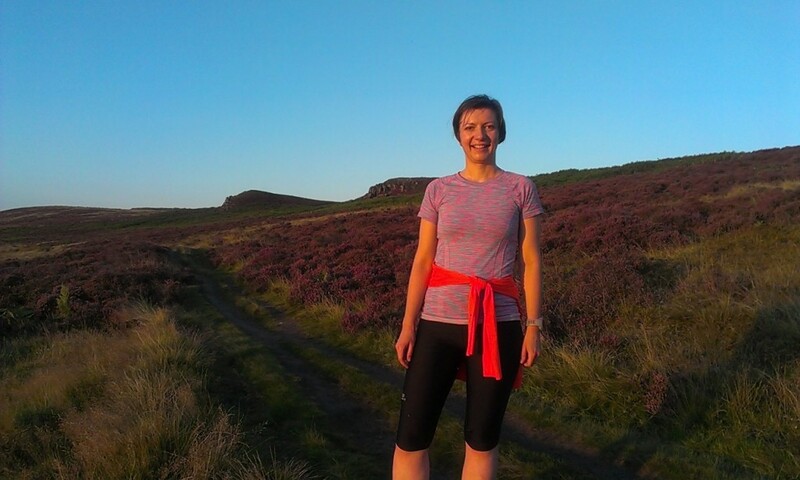 I started coming to running group in October and everyone was so welcoming and friendly, and the variety of running we did was challenging as I had never done anything other than just plod around but also really enjoyable. I signed up to do Percy Pud and knocked 7 minutes off my last 10k time, which I can only put down to the increased running and variety of running at running group. 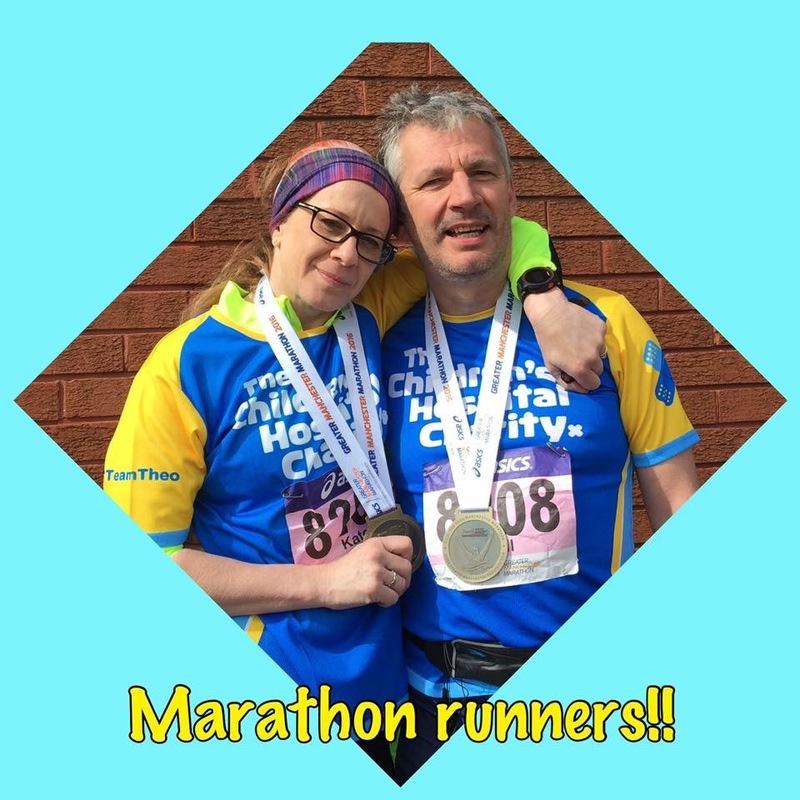 My husband and I decided to sign up to the Sheffield Half Marathon but this was a big step for me so I spoke to Adam about the training and how he could help me achieving my goal. My reservation was whether I could achieve the goal in 14 weeks of achieving the half marathon particularly training over the winter. Working with Adam has been rewarding and enjoyable. 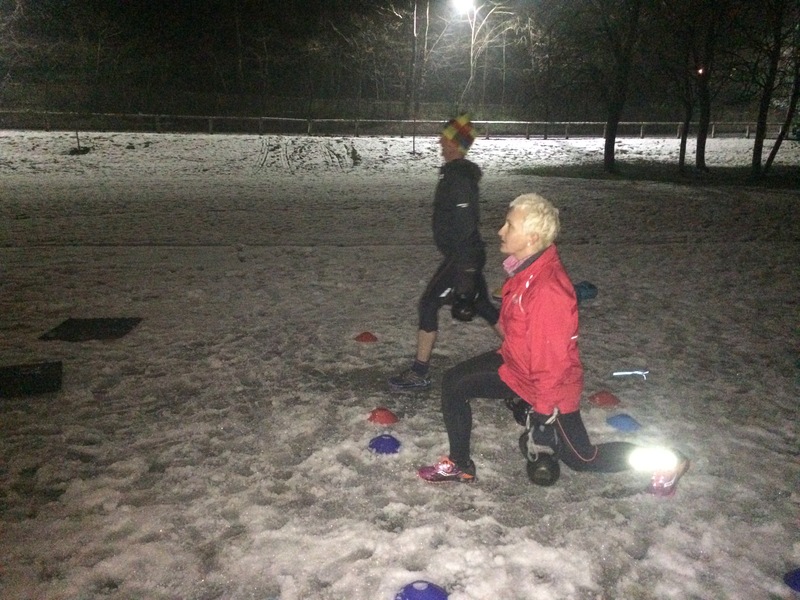 You were so encouraging and easy to work with, you pushed me out of my comfort zone – HITT sessions, I worked harder in those than I ever had in the gym, we ran in snow, hills that I would never have contemplated walking up never mind running up. My most memorable run was running up Ringinglow towards Burbage in the snow – running in the snow on a road impassable for cars, amazing sunny day and fabulous views when we got there. It would never have happened without Adam. Completing the half marathon, something even 6 months ago I would never have believed I could do and having the confidence to sign up for a second half marathon before completing my first . I’m still working towards a sub 30min parkrun (my aim to achieve on my 50th Parkrun in 2 weeks time), only 30 seconds to knock off and also changing the way I eat. I have fundamentally changed what and how I eat which has resulted in weight loss. It has been great thank you. Adam has helped changed my life! I have always been active and enjoyed sport including running and biking but after having my son I felt I needed a little more support to get back to fitness. I started running with Adam’s Monday evening running group last summer and enjoyed the structured sessions and camaraderie of the group. 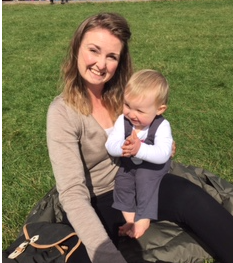 I later signed up to 3 months of tailored fitness sessions meeting Adam once a week for running or HIIT sessions to fit in with my life as a new Mum. With the programme that Adam put together and with his positive encouragement and calm manner I feel that my fitness improved and gave me a solid foundation to progress. After Christmas I set myself a target to run the Sheffield half marathon and I worked with Adam again over 3 months this time on specific run sessions to get me race fit. As my time was limited I knew I could run x 3 times a week so Adam devised a plan for me, including the Monday evening club run, meeting him once a week midweek for a PT session were we undertook some hard rep sessions, tempo runs or hill training at our base Endcliffe Park on a mixture of on and off road sessions, and a longer run at the weekend alone. For the PT sessions I enjoyed the variety and again with Adam’s positive encouragement and knowledge I feel I worked consistently hard to improve my fitness. I felt stronger mentally and physically in many aspects of my life and my family and friends commented on how well I looked, dropping a dress size and toning up. I entered the Dronfield 10k in March and was pleased with a sub 1 hr time, it was a tough race and I learnt from it suggesting to Adam that I needed to do more hills, so we did! Yesterday I ran the Sheffield half marathon. I really didn’t know what to expect. I did not want to put too much pressure on myself, I knew I had trained well and felt confident from Adam’s training plan and so was hoping for a time of 2:30 or under but I couldn’t quite believe it when I crossed the line in 2 hr 11 minutes and 8 seconds! The training had really paid off. Everything seemed to go well. The hills, the tapering, the mindset, the crowd, and the atmosphere even the windy conditions didn’t put me off! I felt so much better than when I did the Sheffield half marathon a different route 10 yrs ago and I feel that was down largely to the quality of Adams programme and PT sessions. Many thanks Adam for all your help and encouragement what next….. I started running in January 2014, aged 41, because I was told by a health professional that I would not be able to run. Over the pasted decade I’d had some quite sever surgery on my back and foot, which ended up me being slightly bionic. I started the C25k with the goal of running Race for Life in June. I’d been working hard at the gym before I started running so my fitness levels weren’t too bad. I couldn’t believe that I could actually run. I followed to program and by February I ran, most of the way, my first Parkrun. I decided that I needed a bigger goal, so the natural thing to do was enter a 10k race in July. The training was going well, so I decided one night to enter Chesterfield HM. Eek!!!! After Chesterfield I knew that I needed to get stronger in my running. I didn’t want to just “get round”, I wanted to reach the end knowing I’d done a good job. I meet a few ladies at Parkrun who convinced me to join Taylored Running Group on a Monday evening. I know I needed this, to improve my running, but I have to say I was extremely nervous about it. What if everyone laughed at me? What if I just couldn’t do it? My reservations about joining were wiped away the minute I met the group. Everyone was so friendly and encouraging and I really didn’t matter if you could run a 17 min 5k or a 37 min 5k. After joining Taylored Running Group I have now got the most amazing group of running friends. Six of us have been working together regularly on Saturday mornings preparing for this years Sheffield Half Marathon. Without meeting these ladies this would have been a tough goal to fulfill on my own. I have now run the Sheffield Half Marathon and managed to get a PB by 6 mins. This is also over 16 mins faster than Chesterfield Half Marathon. During every race and parkrun that I’ve ran, apart from one, I’ve managed to get a new PB. This year I’ve already got another three Half Marathons booked as well as five 10k races. I hope I can continue to go from strength to strength. I first started running 10 years ago. 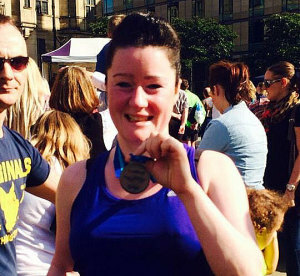 I did a few 10k races and completed the Sheffield Half Marathon. The training was tough on my own and it was difficult to maintain motivation. I decided to try the group running sessions which Adam did. I was really nervous about going along. I’d never run with others before and was worried I’d be out of my depth and comfort zone. I’m so pleased I did as Adam was so welcoming and the rest of the group really friendly. I’ve been going to the running sessions for over a year now and really enjoy being part of the group. Everyone is really encouraging of each other and pleased to hear of each others achievements. The sessions are varied each week. We do reps of varying distances and hill reps. These are all things I would never have attempted on my own, but have learnt that this stuff builds up your strength and endurance so improving your running to help you achieve better times in races. I’ve also experience one to one personal training sessions and group training sessions. Adam is really knowledgeable about fitness, running and nutrition. He has taught me the importance of other exercises to build up core strength, and to mix up training sessions to improve endurance. I am currently training for the Sheffield Half Marathon. I never thought I would attempt this again. I found the training really difficult when I did it before. Doing the long runs were very lonely and tough mentally. Adam has given me the confidence to do this again, and also had the belief in me that I could achieve it. Also friends I have made through the running group have encouraged me and as others are doing it to , I’ve had company on some of my long runs. The training plan Adam has done for me is really useful in mixing up exercise and building up my mileage. With Adam’s expertise, support and encouragement I achieved a pb in December and I did the Dronfield 10k this year nearly 3 mins faster than last year. My attitude to running has now changed. I feel far more positive and as I approach 50, I am the fittest I have ever been in my life! I would definitely recommend Adam as both a personal trainer and his running group. I’ve been reasonably fit since I took up rugby in my mid 20s and as part of that ran inconsistently in the gym or roads. 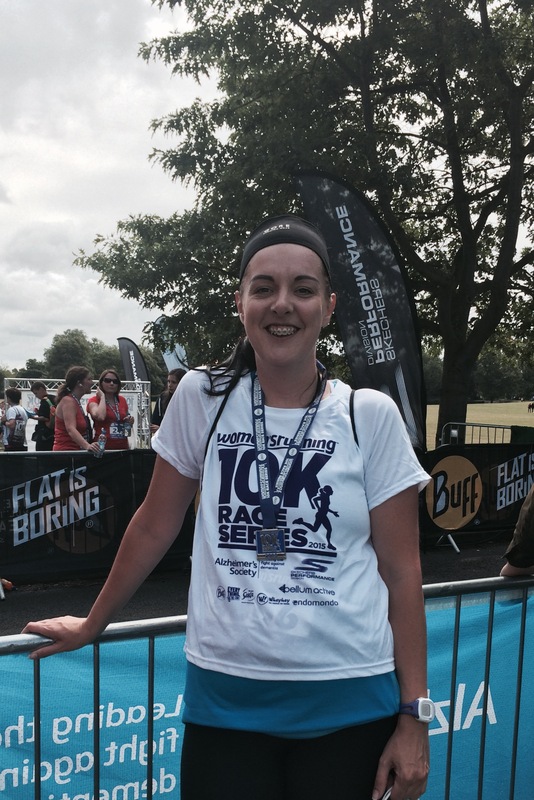 I had completed a couple of 10k races anything beyond that felt fairly impossible, and I was struggling to improve. Having given up rugby I wanted something else to focus on and when someone suggested I join the group, having recently moved to Sheffield, I thought I’d give it a go though. I was pleasantly surprised that the group was very friendly with a wide range of abilities, and lots of different session aims and goals. Adam took a personal interest in each person, challenging everyone individually to work hard regardless of how fast or slow they were. He would often appear on my shoulder and encourage me to push a little bit harder and faster. The varied nature of the sessions helped me develop my running speed, stamina and pacing. Most of all I started finding running really enjoyable which eventually convinced me to sign up for the Sheffield Half marathon, a distance I thought I’d never do. I was really pleased with my preparation, running the full distance a few times before the day and with that knowledge set myself a 2-hour target. When I finally ran the Half, Adams’ coaching and advice meant I was confident to push myself, tackling the uphill section at a steady pace and had plenty of speed left for the second half of the race. When I crossed the line I knew I’d just about made the 2 hour mark and had run my fastest timed 10k ever on the way round. Now I’ve signed up to complete 7 half marathons this year and am taking up trail/fell running to combine my love of hills and the outdoors with my new found love for running. I’m getting out more than ever before and am having fun doing it! The running group is definitely a brilliant and friendly way to improve your running whatever your background. Prior to joining Taylored RunningGgroup I was working towards returning to full fitness after an injury in 2014. My running had been parkrun and some fell running with 10km as my biggest distance. 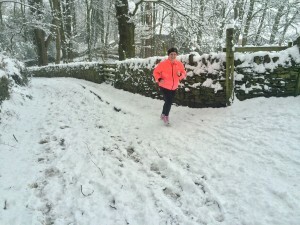 I was keen to find a challenge to aim for and was tempted by the new route for the Sheffield half marathon as I like hills and the route looked great. I’d done little road running and I knew I had to prepare properly to avoid injury, and as I am not a gym person considered a running group. I have never been in a group before and ran on my own. Time is at a premium so it had to fit round my availability. My colleague suggested Adam’s group and after my first session in January of hill sprints I was convinced this group was what I needed. The coaching and training with Adam and support from him and the group ensured I was in my comfort zone, but also being subtlety challenged. The friendly group has been a big part of my progress and was the key to my weekly training. I learn something new at each session. 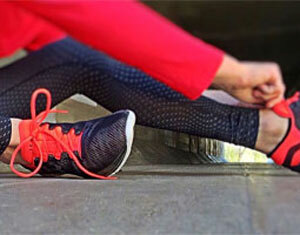 The post exercise stretching has helped me to stay injury free. After this preparation I amazed myself and did the Sheffield half marathon and achieved a sub 2 hour time, feeling good. It was a great experience. I have also managed to improve my parkrun times with a new pb, which I never imagined possible. After years of running on my own and making little progress I have found the support of others has helped my times and inspired me and I have met lots of new people. I am pushing myself harder safely, and also trying to make better use of technology to help me progress and Adam is helping with this. His weekly newsletters are informative and there are always new and interesting things in it. Overall my confidence has improved and I am enjoying running so much more and the group is working well for me. Adam’s approach works well for me. His enthusiasm no matter what the conditions makes you get on with it and feel like you have done something! Before I met Adam, I couldn’t run for more than a few minutes without having to stop. Apart from the occasional jog on a treadmill at the gym, running was completely new to me. 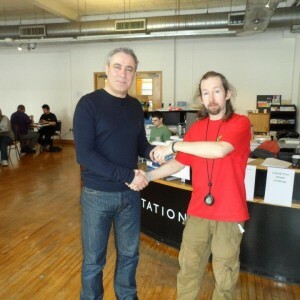 In March 2015 I signed up to Adam’s 0-5k package. At first I was sceptic as to whether I would be able to run 5k in six weeks. I was typically someone who gave up easily if I became board or couldn’t do something. Adam however, was confident I would be able to achieve my goal of running 5k continuously with his skills and guidance. Before my first session, I was so nervous, but once I met Adam and discussed my goals with him my anxiety evaporated. Adam is down to earth and respectful of my needs. Adam helped me outline specific goals and guided me towards them. Without pushing me to hard, Adam pushed the boundaries of my comfort zone to encourage me to challenge myself. Every session was enjoyable and rewarding. After six weeks of training with Adam, I ran my first 5k race. Adam gave me a sub 33 minute target to complete within. I finish in 30:57 which is my PB to date. Since signing up with Adam for a further three months, I have ran my first 10k race in 59:11 (New PB) and run weekly with Meadowhead running group. 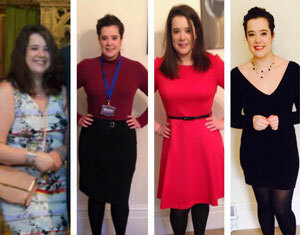 I have gone from someone who could hardly run at all, to a 10k runner in just four months. I am so proud of what I have accomplished working with Adam. I couldn’t have achieved these results without his motivation, knowledge and commitment. Before I started working with Adam I was pretty fed up of always just looking ‘ok’. I wanted to feel great not just about how I looked but how I felt. 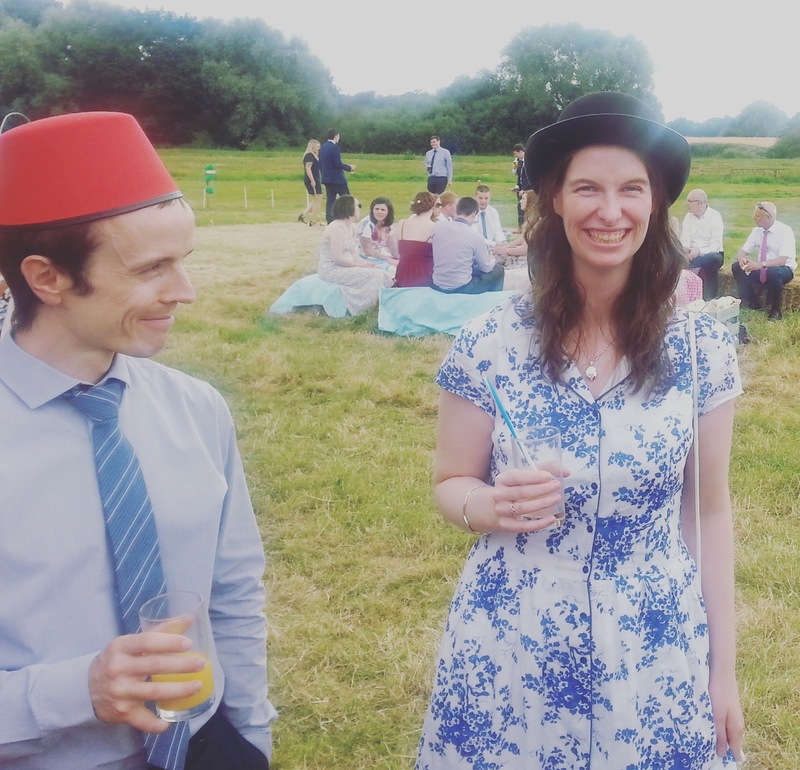 I had been attending Adam’s running group for almost 2 years so I had no reservations about working with him, I was just concerned that I would be the one person who wouldn’t run faster, lose weight, find the time to train or tone up…. I’m happy to say I was wrong!!! The results have been amazing and I’ve felt fantastic. A mixture of clean healthy eating and following a training plan helped me to run PB’S at 5km and 10km distances and I feel fantastic whenever I go out. I started on Adam’s 8-week hormone balance plan as I’d gained over a stone in weight in the last 3 years following gallbladder surgery. It might not sound a lot but I was really aware when I saw a video of a dance show I appeared in earlier this year and realised that I was no longer one of the slim ones. The camera must add more than 10 pounds! I’d tried losing weight last year using Weight Watchers but found that I was always hungry and it just didn’t work for me. I’d read a lot about healthy eating but had no idea where to start so Adam’s plan seemed like a good option, as I wanted to change my food habits for the long term. I’m not renowned for my will power when it comes to cutting out the naughty-but-nice foods, so having a weekly call from Adam was probably the best psychological “stick” for me as I didn’t want to let him down. The first 2 weeks were really hard; I’d convinced myself that I already ate a healthy diet but I soon realised it had been very starchy carb heavy. Cutting out bread so drastically was difficult but I was surprised how soon I got used to it. Planning meals took a while to get used to and I’m still experimenting with Adam’s recipes to vary my usual repertoire. The best result has been the inches lost and the difference I can see in my shape. I can finally fit in a much-loved pair of size 10 jeans that I haven’t worn for 4 years! Other people have also noticed which was a huge confidence booster, and made me determined to carry on. Adam’s knowledge, advice and encouragement have been invaluable; I don’t think I could have stuck to the plan on my own. I’d definitely recommend it to anyone looking to make long-term changes to how they eat. Before working with Adam I was known as the typical ‘Yo-Yo’ dieter. Always slimming for the holidays and piling it on while I was there. I didn’t understand how to maintain weight loss and I was always up and down with how I felt about my weight and body. Before starting I had tried personal training before but never really enjoyed the service you got from ones in the gym and so I was worried this might be another failed attempt. When meeting Adam I was put at ease straight away and felt comfortable about what was to come in terms of my training and sessions. We would train once a week and Adam would design a plan for me to follow for food and exercise so I was never alone. Even when I was unsure I could text and email any question and the response was instant. One thing I will now keep from working with Adam is I understand how to maintain my weight and get back on track if I do have the odd slip up. I enjoy working out and eating healthy, cleansing and treating my body right and without Adam this would never have happened. I’ve joined gyms in the past and have enjoyed it. However, over the years I’ve joined four of them and quit them all. I thought about the reasons why and concluded I find them a faff. Packing kit, committing to leaving home and going to the building, waiting for machines to be available, getting showered, and getting home. I concluded some time ago that gyms are not for me. I work in Sales and spend a lot of time driving. Over the years my weight crept up (not to huge proportions but enough for me to know it would only continue in my line of work). I’ve always eaten relatively well but despite this, I knew it was time to integrate regular exercise into my lifestyle. I thought about joining various clubs but again this required a commitment to sticking to days and times. I thought of the easiest thing I could do and decided that running would be my best option. Just put my trainers on, run out of the house and return in 30 minutes. If I could do that 3-4 times per week and make it a lifestyle change then that would be a key accomplishment. I initially started running with my friend once a week and it wasn’t long before I injured myself. I hadn’t bought proper shoes and didn’t know how to warm up, cool down properly etc. I was sure that there would be some techniques that I could learn from a trainer that I wouldn’t know about otherwise. Someone to help me work towards my goal of running non-stop for 30 minutes outside. 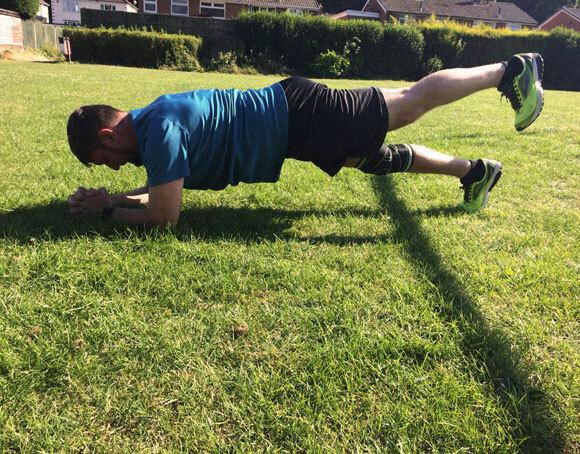 I signed up to Adam’s Gold personal training programme and during my first session with Adam, he videoed me running as I normally would and we went on a run around Meersbrook Park. I was totally exhausted afterwards but it helped to establish what my current level of fitness was (not that great). The hills in Meersbrook were too challenging for me so from that point on we did one session a week in Endcliffe Park and he taught me how to manage hills as I progressed. The sessions were mixes of strength training and running. It became apparent that the high intensity interval training (HIIT) and strength training was something that I really needed to work on and Adam made me realise the importance of building my core strength to improve my running and HIIT sessions to burn body fat. I committed to going out running and completing the 20 minute HIIT sessions with the help of Adam’s YouTube exercise video’s on my own between personal training sessions but I would always be apprehensive about what Adam had planned for us to do. Purely because I would worry that I wouldn’t be able to complete what he had planned. However every session was really enjoyable and I got fitter quicker than I thought I would. Adam assessed how far I should push myself, which is something that’s difficult to do when you’re new to an exercise but you have a goal in mind that you want to reach. His weekly goals pushed me but they were achievable. I completed my first non-stop 5K Parkrun after 7 weeks in a time of 31:07 on a very rainy dismal morning in Endcliffe Park – I was really happy! I kept pushing myself between sessions and I ran my first non-stop 10K after two months of starting the sessions. 10K was never on my agenda but I found I could do it by the end of month two. The encouragement and techniques that came from Adam were invaluable. 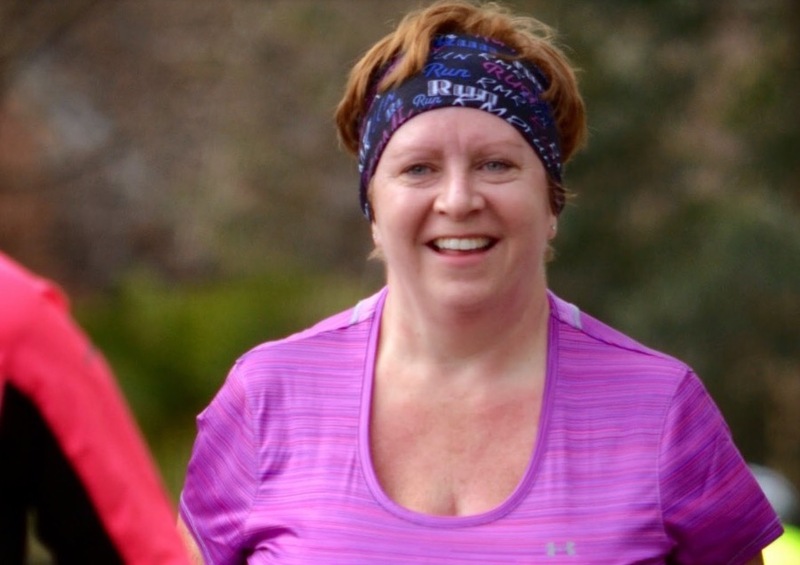 They equipped me to go out on my own and feel confident that I could become a regular runner. As an added bonus after 3 months of training with Adam I’ve lost 4.5kg’s in weight and my waist is 5cm smaller than at the start. I’ve also reduced my body fat percentage by 6.6%. The single most important result for me from undertaking Adam’s training is that I’ve established a pattern of exercising routinely and I now enjoy something that I felt very apprehensive about. I’ve learned how to mix up my running sessions to make them varied, fun and enjoyably challenging. When I’m away with work I take my trainers with me and I also don’t mind the cold weather now as I now know you warm up quickly! I’ve achieved my goal and have gone beyond it. More importantly, I can see it being sustainable. Success! As I turned 50 I was overweight, drinking heavily and frankly quite depressed. 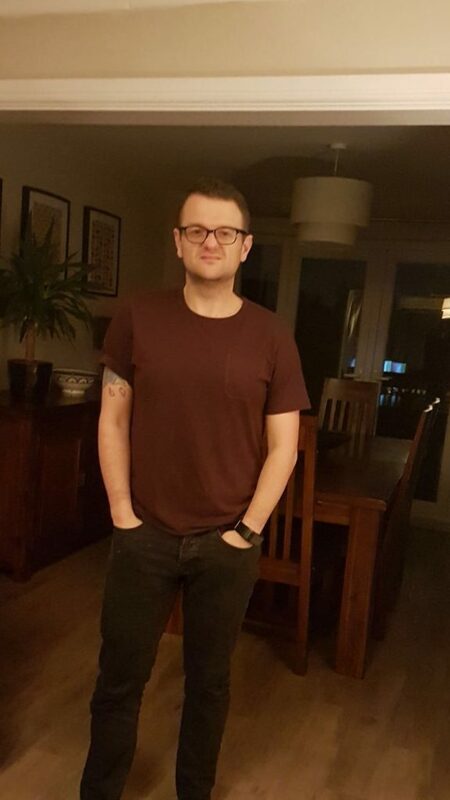 Before I first started personal training with Adam I had joined a gym and lost quite a bit of weight, I had realised that I enjoyed running and was running regularly, however I had little confidence in my ability and whilst able to ‘plod’ for quite some distance I had no real focus. I did have reservations, I am tall ungainly and had had bead experiences of ‘games’ at school and although that was many years ago memories of being the one nobody wanted on their team for any activity, still had its impact on me. I think also at 51 I felt slightly self conscious about myself and my whole body image. I first met Adam 12 months ago and the process of working with Adam has been incredibly positive I have worked with him in both running groups and one to one personal training, the benefits have been huge on many levels the sports massage pre my first marathon was incredibly useful. I have been able to develop my core strength, stamina and work out a sensible approach to nutrition and have learned how to improve my running form. I no longer plod along in a somewhat ungainly fashion anymore. Adam has also helped me deal with the psychology of running, I do not need the buzz of a PB every race, when they happen they are amazing but when they don’t I can look back at the race in a positive and sensible way and learn. Achieving a medal for something has never been top of my agenda…. With a hubby, 3 children, 2 dogs & after 11 years of hard work as a civil servant, I was facing redundancy too. 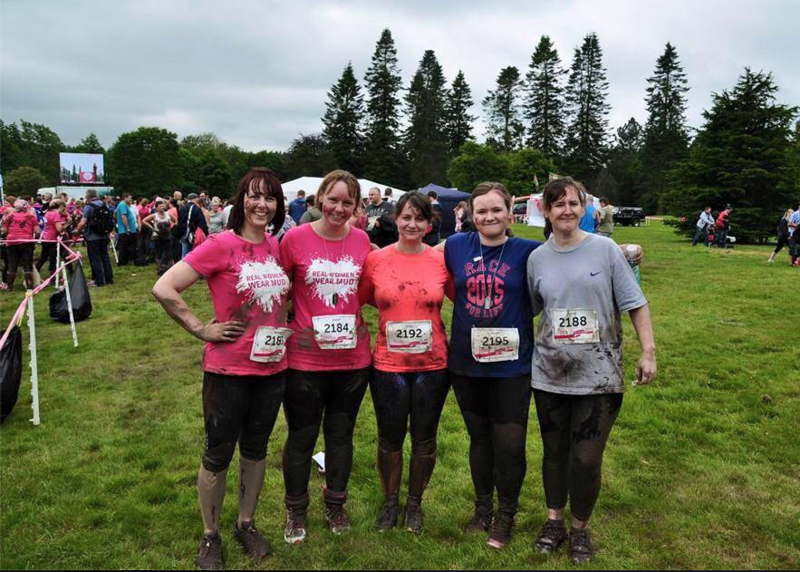 Having seen my friend Donna enjoying running club I contacted her back in April 2014 and asked to join. For me, Taylored Running Group turned running from a very much lonesome sport, to a fun filled group effort and I found it fantastic to meet others of the same mindset. 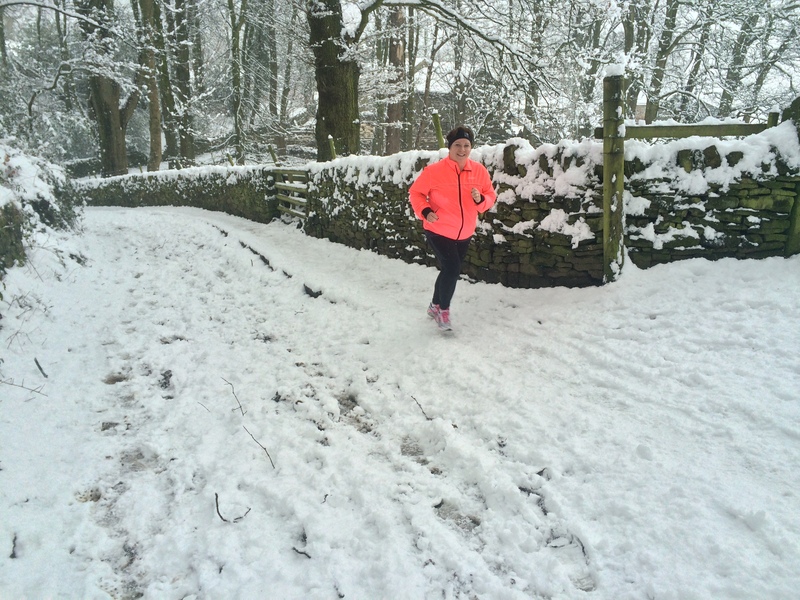 Nervously, Donna and I tried the fell running group and I loved it… Being out on a Sunday morning in the beautiful countryside went hand in hand with getting my fitness up wonderfully!! Aside from the group fitness, Donna and I pounded the streets up to three times a week. This was very hard at times due to home commitments and frame of mind with pending redundancy and the summer evening heat. With the 10k goal in mind, we found the commitment and went for it! 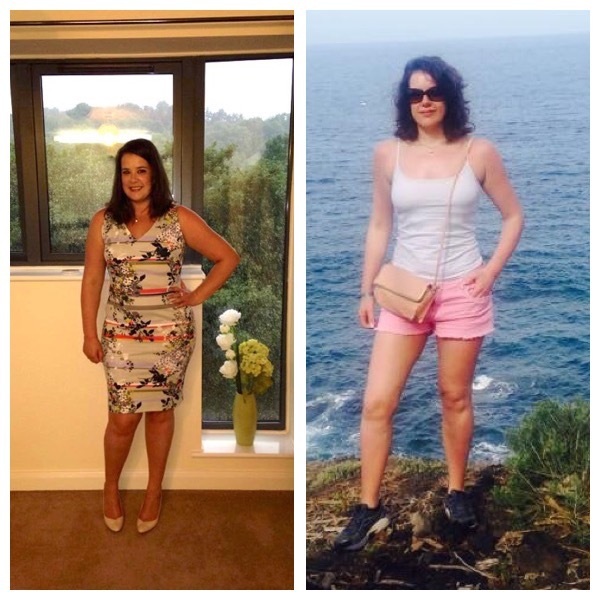 Running gave me a definite aim and a fair bit of body confidence back too! The training, aloud me time for myself. No children, no responsibilities-just self-focus! Setting my own personal goals and achieving them, felt fantastic. It fueled my passion for running. It gave me focus during a tough period in my life and got me through some tough times! Today at the BUPA Great Yorkshire 10k getting a PB, with my Hubby and Children cheering me on, has been the greatest of feelings!! Entering, completing then being able to run with my daughter during her Mini BUPA Run is the icing on the cake!!!!!! 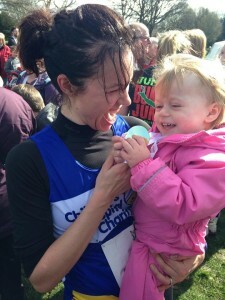 1 happy lady, 1 happy running partner and a proud Mum too!! My running journey started in January this year as a New Year’s resolution. Realising I had let things slip, I started a couch to 5k program. Once I had completed that I felt I didn’t really nowhere to go from here so started Googling running clubs and found Adam. Since then I have had amazing results and been taught it’s not just about running distance! I’ve also included hill reps, interval training and much more. I have also met some amazing people so it doesn’t even feel like a chore anymore, I can’t wait for Monday evening to come around. I have just completed my first 10k race in 1hr 3 minutes with loads of encouragement from Adam and everyone else in our group. I feel totally amazing and never realised I could run like this. 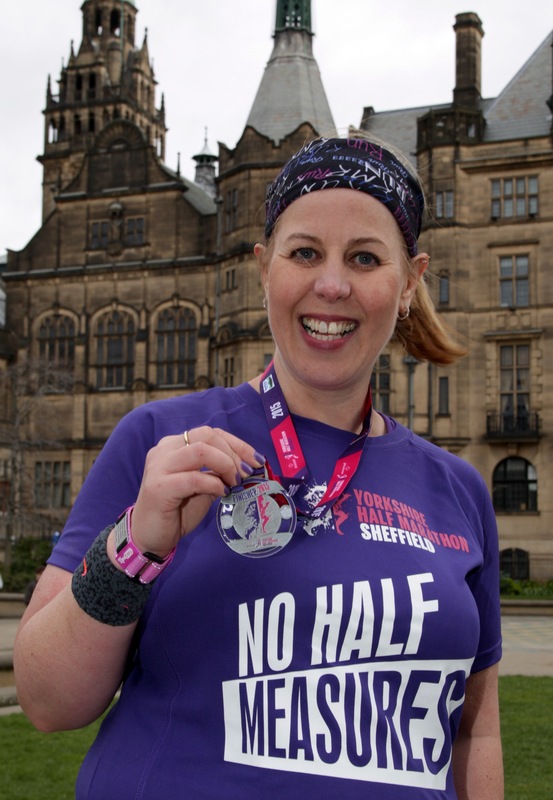 My next goal is the Sheffield half marathon in 2015. I started training with Adam in May 2014 and I started because I couldn’trun for more than a few minutes at all, which I found quite shocking, but I wanted to enjoy running and be able to. I was nervous about joining a running group because I knew that I would be at the back and wouldn’t be able to keep up, so I found Adam. I was nervous at first about whether I’d be able to, or whether I was too unfit to train, I suppose, but he was really encouraging, really friendly and so I didn’t hesitate to sign up for the 0k to 5k. Adam was confident that I could do it in 6 weeks which I did. Adam was really encouraging and eased us into it. The sessions got longer (in terms of unbroken jogging) and poor Adam put up with my protestations, general lack of enthusiasm or belief that I could do it! Slowly but surely, I got better. Although it always felt very hard, I was going further and further. (Run Forest Run springs to mind!) I know I would have given up had I been on my own, but Adam was so encouraging that I persevered. Having decided to run the London Marathon in April 2014 I was following the suggested training plan. However, I felt that because I was 14 and 7 years older than I had been when I last ran it (2000 & 2007) that I needed some extra support and structure to my sessions, some guidance about nutrition and session intensity building up to the big day. I first met Adam at a Thursday running session that my friend Anna had been encouraging me to go to for ages. Adam was friendly, positive and cheerful at that session so I did not have any reservations about asking for a bit of help. I looked at his website and also found it really useful and informative. After a short discussion with Adam, I went for the “race ready” package as I felt this would get me to race day in the best position that I could be. Great, fun, hard work, structured weekly plan, varied workouts and varied runs. Adam was positive and encouraging even if I was grumpy doing my horrible (but necessary) hill runs or tempo sessions. 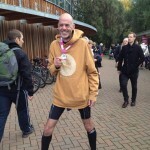 Completing the London Marathon 2014, aged 45, in my projected time, feeling good at the end, running the whole thing and generally loving the whole experience. In my Sheffield training being able to run all the way up Twentywell Lane, and up Dore Road, plus meeting some really nice people on a Thursday night’s training session. I now want to do the Cardiff Half Marathon in October. I joined Adam’s running group as I was struggling to find the motivation to run on my own. I have found it really motivating and rewarding to run as part of a group and have surprised myself with how much I look forward to it each week. Adam has always made sure that everyone in the group is being challenged each week, regardless of their ability, and I recently realised how much fitter and faster I’d become when I did a 10k race and knocked 13 minutes off the time I did a year ago before joining Adam’s group. I recently completed the Dronfield 10k race and was absolutely thrilled to finish in 52 mins. Knocking 4 mins off my time from last year. I am sure I wouldn’t have achieved this without Adam’s training and encouragement. I have always wanted to be ‘someone who runs’, and over the past 10 years or so, I had a couple of goes at running on my own, but I always ran out of motivation and gave up. I usually found that I would make an excuse not to go or would give up easily especially if I had to run up a hill, mentally I would just give in and start walking and then lose confidence in myself and not bother again. I also wanted to increase my fitness and keep control my weight, as I love my food and have a big appetite, so I found that I had gradually been putting on weight, which I’ve also found, as you get older becomes harder to shift. 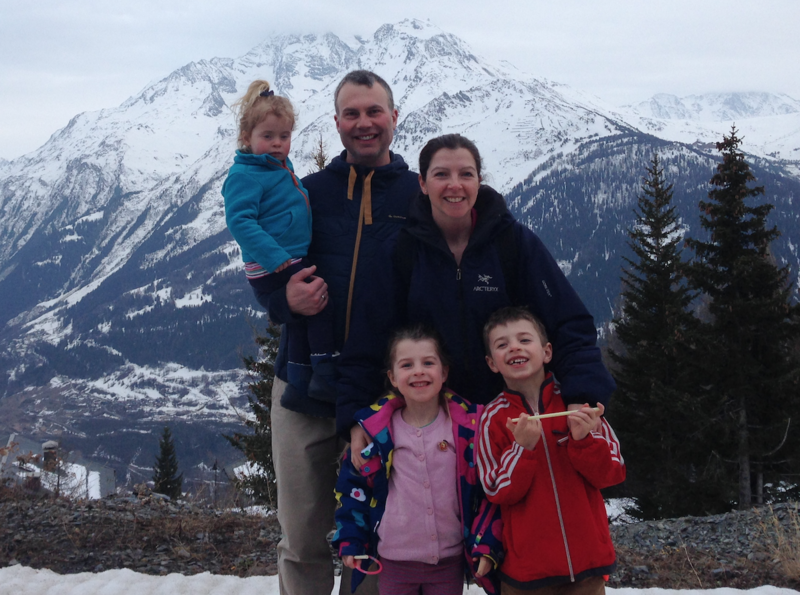 I think it’s particularly difficult if you have a busy home and working life to stay fit and commit to doing regular exercise, as you always have lots of other things going on, for me it was often about taking my children to their activities rather than participating in an activity myself. So, I found there was always a lot of reasons (excuses) not do it.I was a bit worried about looking stupid or not being fit enough, but I think everyone’s got to start somewhere and actually working with Adam on a one to one basis helped me to see an improvement in my fitness within a couple of weeks. 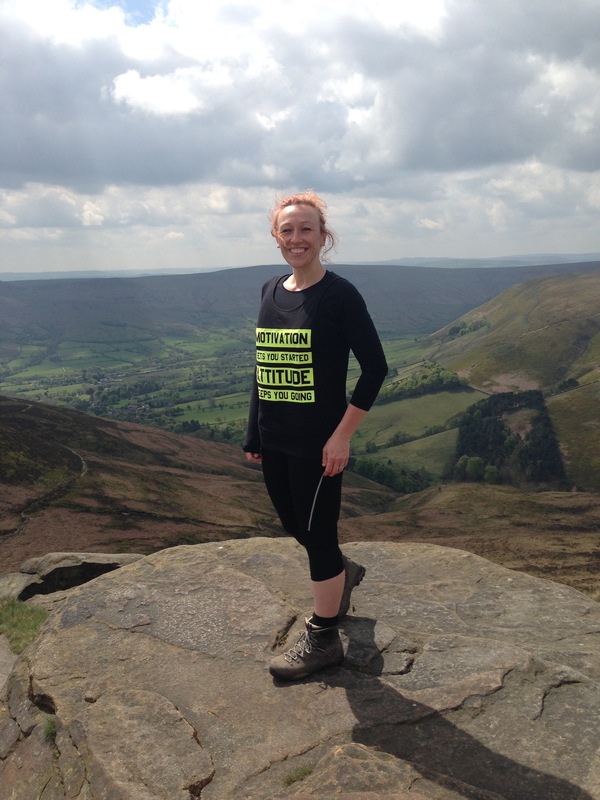 Working with Adam has helped me to become fitter and has given me the confidence to be a runner; he gave me lots of good tips about how to improve my running technique and how to run (especially up hills – which is vital to know in Sheffield). Adam would set achievable goals for me to work on in between sessions, plus lots of other information about increasing your general health (useful stuff about drinking water, not drinking too much caffeine etc). A fantastic advantage of running with Adam is that he always makes me work a bit harder and run a bit faster or longer than I would do on my own. He seems to know just how much harder I need to be working, even though it’s tough at the time – I think it’s been a big reason for improving my fitness and stamina. Now I enjoy running with a group, everyone is very supportive and encouraging, some weeks when I don’t feel particular motivated to run, but I still go because I know how much I will enjoy it once I get there and how much better I will feel afterwards. Running with Adam (either on a one to one basis or in a group) is about time for me, I’ve come to realise how important that is. At times I’ve been so immersed in family life and work that I’ve forgotten to have leisure time just for me, to develop my own interests, have my own social life, but in fact it benefits me in all areas because I feel more energetic, more confident and ready for anything. The best result that I have got working with Adam is having the confidence to know I can do it! Just having that help and continued support makes it that much easier and enjoyable to achieve what you want. I wanted to find a sport that I enjoyed. In September 2012 I started doing a few park runs. I enjoyed them but really wanted to find a group to encourage me to do more running at night and to fit in with the family nicely. Since starting with Adam’s group in sep 2013 I have knocked minutes off my park run PB and have done my first ever 10k. I feel fitter, faster and happier all round and am thoroughly enjoying my running. Adam is very positive, motivating and encouraging, without him and the rest of the group I really don’t think I would have achieved what I have. I am getting fitter, faster and having fun! I would encourage anyone who thinks, “that might be for me” to give it a try, I did and have never looked back. Being a time-pressed tri-athlete it is important that I get the most out of every training session, and was looking for someone with proven experience who could help me make immediate improvements. Adam offered exactly that: a focused approach targeting areas that offered most improvement, fitting in with my life, my training plan and target races. With his experience Adam was quickly able to identify and help remedy my weaknesses, and provide a more structured and successful approach to my training without adding any extra time! At the initial session he reviewed my current training regime, my goals and the timeframe in which I’d like to see improvement. From the subsequent sessions he identified problems with my form, offering advice and teaching me drills to improve technique; taught me how to mix up the different types of training, to include long pace runs, shorter speed sessions and hill work; improved my core and running strength through a focused programme of exercises using weights or just body weight; and helped with injury prevention through warm up exercises and post-running stretching routines. Our sessions were short and always focused, fitting in perfectly with my work, family and training routines. The advice was always friendly and informative, never feeling like I was actually on a ‘personal training’ session just learning from someone with experience, and never pushy just helping me improve and work towards my own goals. I would definitely recommend Adam to anyone looking to improve their running, whatever their level. I chose Adam, as my goal was an endurance event and his previous experience competing in long fell races appeared to be a close match to what I was trying to achieve. I thought he would have a better understanding of the sports I was aiming for and that proved to be the case.I was very pleased to find that Adam seemed able to fully understand the goals I had set myself and the challenges of fitting my training around my lifestyle. Adam helped to bring a lot more structure to my training, which meant that I was making the most out of the time that I had available. The training plan Adam set me was considered, logical, easy to follow but most importantly had enough rigidity to be effective but flexibility to fit around my work life. He also explained the reasoning behind all the aspects of the plan, which meant it was easier to stick to, as I understood the benefits. Adam was always calm and logical in the way he explained the training and supporting me in my training. He appeared to be well researched and tailored the training plan exactly to my needs, which made it possible for me to follow it. Ultimately; when I came to Adam I was training a number of hours each day but not seeming to get any stronger, but during the 16 weeks I worked with Adam he helped me train less but more effectively and most important helped me to enjoy it again. I wanted to finish the Fred Whitton within the 12 hours cut off time but finished it in 9hrs 50mins so I was very very happy. I started working with Adam a couple of months before my first attempt at a marathon. I was finding it hard to stay motivated and getting various musculoskeletal aches and pains from training. He came across as friendly and enthusiastic with a lot of running experience and useful tips. I had 12 sessions, which were very varied and well planned with clear objectives. Adam was happy to plan the sessions to fit in with my training schedule and needs. Following each session, he would email the plan to me so that I could practice the exercises in my own time and integrate them into my training. As well as doing strength and conditioning work in the gym, we also worked outdoors, practicing hill and speed training in the park. He taught me some useful running drills to use as a warm-up, advised on stretches to do post-run and helped me to improve my running technique, all helping to minimise the risk of injury. A personal assessment at the start and mid-way through training allowed me to see the progress I had made and remain motivated. He also advised on nutrition and gave me some carbohydrate loading information prior to the marathon. Adam’s support inspired me and made training a very positive experience. I really enjoyed the London marathon and ran it within my target time. Following the marathon, Adam gave me an introduction to fell running in the peaks, which has given me a new goal and he has encouraged me to continue to develop my running distance and speed. I fully recommend Adam as an excellent personal trainer if you are looking to get fit or develop your training further. A few words to thank you for being such a great trainer and helping me achieve my goal. I was not entirely sure about personal training, and if I admit it, a little scared of the idea. I never liked the idea of those boot camp styles. My husband bought me a package of training sessions and entered me into the Stratford triathlon. I was very unhappy about being unfit, but failed to find the time to exercise, so he decided I needed structure and a goal! Having met you, he knew you would be the right person to contact. Had it not been for your quiet, relaxed and humorous nature, I probably would have never been won over. The first meeting to discuss what I wanted to achieve and how we were going to work to that was completely reassuring. I found your flexibility with times of training sessions really helped when I was stuck with work. Regular contact by text / email was very encouraging and I liked having a timetable each week clearly guiding me through my workout until the next session. 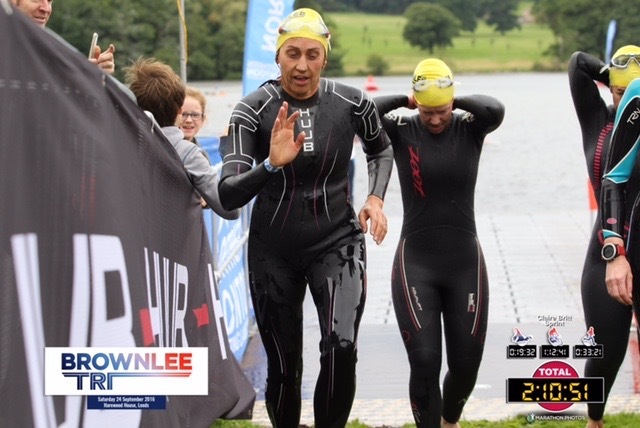 Advice on timing of each practice I needed to do for running, swimming and cycling was brilliant, including when to rest! It was addictive. Many of the strengthening exercises I had never done before and it made me work on my weaker areas, and it also meant if I had little time in my day, I could still exercise at home. I had never given much thought to warm ups and cool down stretches before this either, which is probably why I had got such tight hamstrings and an aching back. I still do all those stretches you taught me now. Not a single session was an easy workout but everyone was enjoyable. The different running routes and the changes in drills midway made it more interesting and meant pushing myself to rise to the various challenges. I would have given up every time if I’d been alone but it was amazing how you encouraged that extra mile every time. Running alongside meant you were constantly able to help with technique, body positioning and also distraction – I ran further than I realised while talking and laughing. When I went to Stratford, I really enjoyed my race, and did so well in my group. It was exhausting but your voice was in my head quietly encouraging me on, positive that I could keep going; and I did. I think I amazed everyone just how fit I was, including myself. I could honestly recommend you as a fantastic personal trainer. You were incredibly professional, organised and committed to me as a client but still very relaxed and supportive during sessions. You are clearly very determined with your exercise plans but no matter what level I was achieving, your feedback was so positive, it made me feel I was doing well. Thank you. I couldn’t have achieved it without you. Adam clearly has a good knowledge of the principles of all aspects of running and training. He has a good process when it comes to planning and executing sessions. He is very talented at keeping the training both varied and challenging. In order to improve my mile time (which was my aim) I required more than just a running partner. Adam introduced me to many drills and strength and conditioning exercises, all the while giving advice and encouragement that both helped me at the time and inspired me to keep going whilst running on my own. There is something very rewarding that comes from working with someone that is great at what they do; this is always amplified when they also clearly love what it is they are doing. I can’t recommend Adam highly enough, and although I don’t fall into all categories, I cannot imagine you would find him lacking whether you were a complete novice or an experienced runner. I decided to work with Adam due to his experience with fell running, which was an area that I wanted to focus on and also from a personal recommendation. The whole training programme was well planned starting from setting out objectives at the start and working on each element in a structured way (for example, strength and conditioning work and technique). The sessions were also varied which helped to maintain interest and enthusiasm and Adam was happy to adjust the programme to allow for injury or times when other things in life got in the way of training. Most importantly the training helped me to achieve my goal of completing a 21 mile trail race (and in 3rd place which was a bonus). Adam provided positive and motivational support to help progress my training and reach new goals. I would recommend Adam to anyone who is looking to push their training further or achieve a personal target. 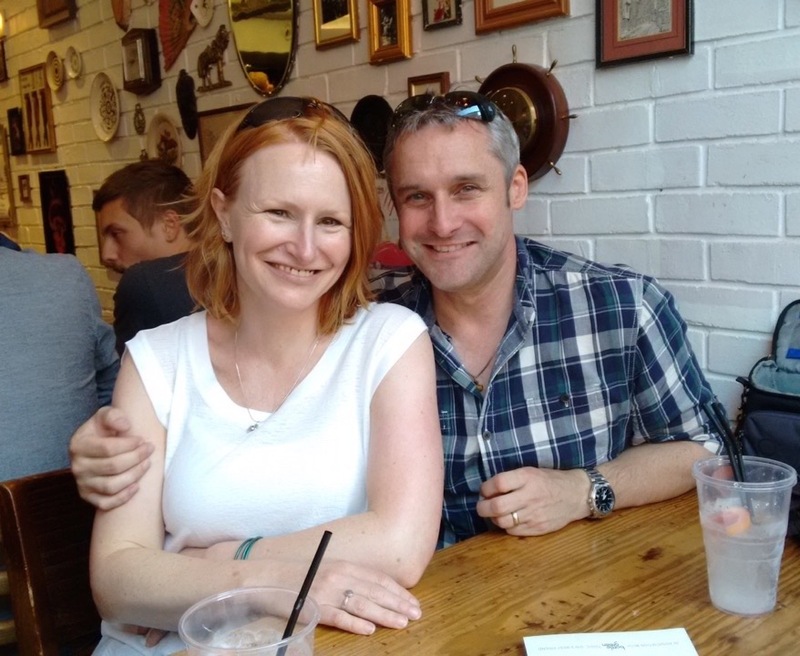 When I approached Adam to enquiry about a possible programme of personal training, I was going through a difficult moment in my life, feeling very low and not in complete control of my feelings. I was hoping that an increase in my physical activity could help me get on my feet again and regain confidence in myself. Of course I was also hoping I would lose some weight and become fitter too! Adam’s open and straightforward manners have been important in proving genuine interest in helping me achieve my goals and get the most out of the 3 month program that I then booked. The 3 months worth of training have been very useful in learning new techniques and set of exercises and in regaining some basic level of fitness on which to build on. However, as an unexpected added value, the 3 months of training have also stimulated a deeper exploration of my inner self and so, as I was running on the treadmill, I was also reflecting on aspects such as: what are the conditions under which I give my best at work; how I can best use my resources; when do I need to ask and use the support and expertise of others; what are important motivations for me; how do I respond to challenges; and many more. And so together with the determination to carry on improving my fitness level, I am also intending to continue this parallel journey of self-exploration. Adam has been quick at identifying the best way of working with me and what has come out from his support is a very personal training programme that feels really personal! My choice of Adam was based on his reputation and his positive attitude when we met first time. Adam’s approach was very encouraging and he came up with a very realistic plan tailored to my physical ability and lifestyle. I have already recommended Adam to my friends, on the basis of him being; flexible, easy to approach, giving a lot of attention to small details and makes the whole training experience great fun! I first met Adam when he joined our running club in Scotland. I found Adam to be a very approachable and likeable guy. He is very knowledgeable about the sport of running and quickly became integrated into the club. He is a good team player and was keen to get involved with coaching and helping. Adam also ran for the club in both club and competitive events in the West of Scotland. He initiated the setting up of a series of hill running training sessions for the club members, ranging from introductory to more advance. Suitable hill running sessions were also part of each session. I took part in these and found them to be very informative, fun and quite challenging even though I am a runner on roads and track over many years. The sessions were very popular. Unfortunately Adam then moved on to pastures new in Sheffield to set up his personal training business. He was a great loss to the club. I’m sure, if you are thinking of using a personal trainer to get fit, start fell running, running or whatever; Adam would be an excellent choice. Complete the form below and I will contact you to arrange a convenient time for your free consultation.
. I will not share your information with 3rd parties. By clicking send you agree with these terms.